​The longest sustained research ethics workshop is back again. The 2019 edition of I-SWEAR will be conducted from 27 to 30 May 2019. As in the past this event promises to deliver the goods. The boom in research on human participants (both clinical and academic trials) has created a need for urgent training of ethics committee members in recognizing and addressing ethical issues in healthcare research involving human participants. 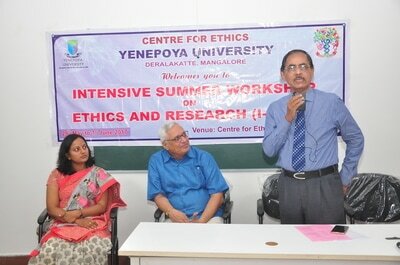 The Centre for Ethics, Yenepoya deemed to be University, Mangalore has been offering this summer workshop since 2011. This workshop will benefit ethics committee members - both existing and potential. The workshop will also benefit researchers as they will be able to strengthen the research protocol and also decrease the ethical review time. The Centre for Ethics, Yenepoya deemed to be University, Mangalore was invited to Shri B. M. Kankanwadi Ayurved Mahavidyalaya (Postgraduate studies, Hospital and Medical Research Centre), Belagavi (A constituent unit of KLE Academy of Higher Education and Research) to conduct a Workshop on Good Clinical Practices for the postgraduate students and faculty of the institution. 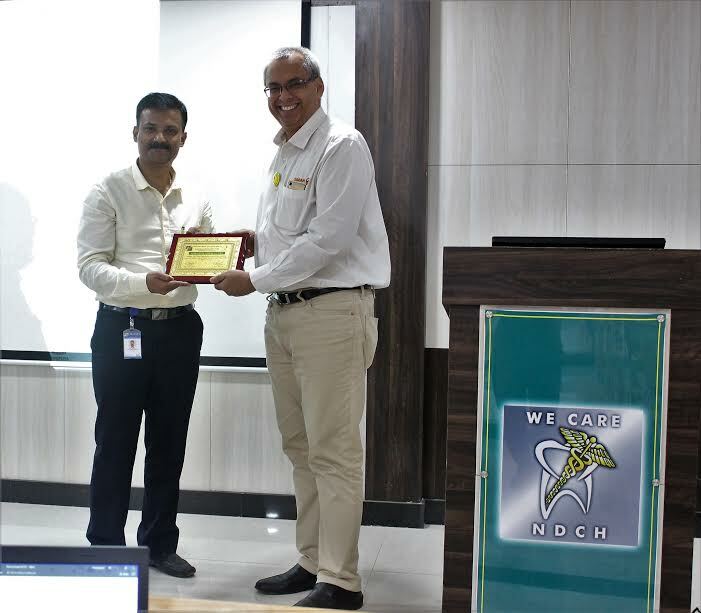 The workshop was conducted over two days on 24th and 25th January 2019 in the BM Kankanwadi Mahavidyalaya campus of the KLE. 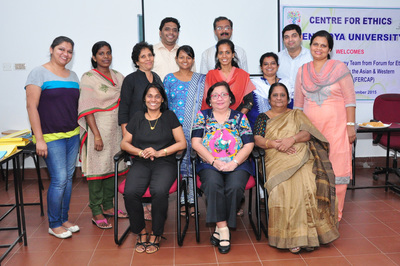 The team from CFE consisting of Dr. Vina Vaswani (Director, CFE), Dr. Ravi Vaswani (YEC-1 member and Faculty, CFE) and Dr. Uma Kulkarni (Member-Secretary of YEC-1 and Faculty, Centre for Ethics) conducted the workshop, which was attended by about 50 post-graduate students, few PhD Scholars, research guides, faculty and Ethics Committee members of the institution. 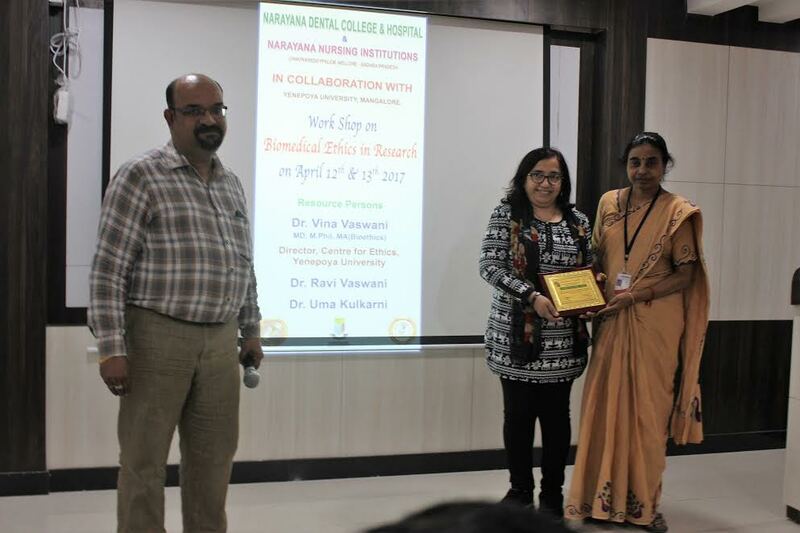 ​The sessions were interactive and included topics from defining research and clinical trials, ethical issues in research to application process for CTRI (Clinical Trial Registry of India) registration. 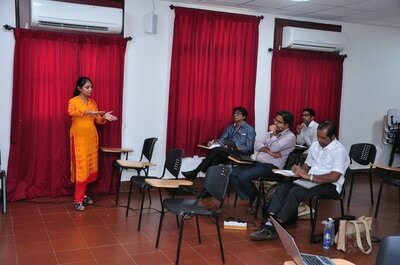 The feedback for the workshop was great indicated an encouraging learning process. This is the tenth institution outside Yenepoya University which the Centre for Ethics has mentored. As part of its expansion plans from healthcare into academics, the New Amrutha Medical and Research Centre (Raichur) Private Limited, Raichur has initiated the process for fulfilling the requirements for starting DNB (Pediatrics) course. As part of this larger scheme, the institute is in the process of establishing an ethics committee, to oversee the conduct and facilitate the growth of biomedical research on human participants. The Centre for Ethics was invited to train the faculty members in research ethics and the functioning of ethics committees. This will enable the institution to apply for DCGI registration, which is mandatory as per the current laws. The team from CFE consisting of Dr. Vina Vaswani (Director, CFE), Dr. Ravi Vaswani (YEC-1 member and Faculty, CFE) and Dr. Uma Kulkarni (Member-Secretary of YEC-1 and Faculty, Centre for Ethics) conducted the two-day workshop on 7 and 8 January 2019. 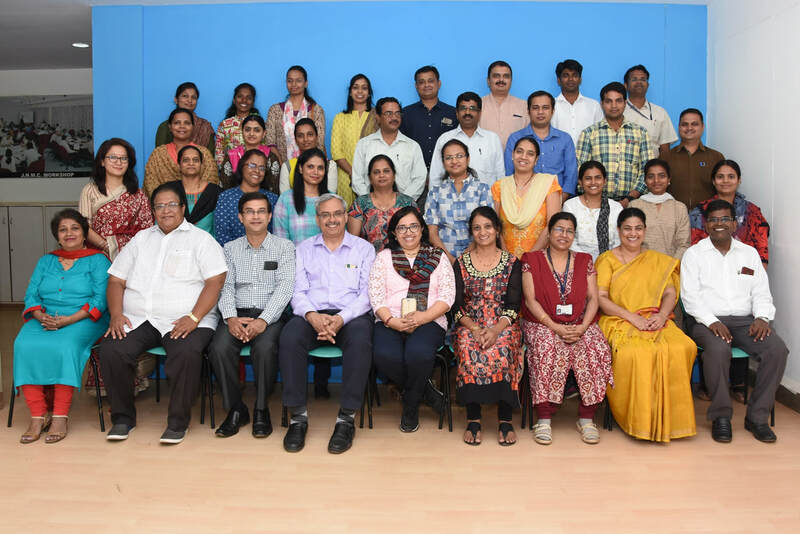 The workshop was attended by the faculty members and prospective members of the EC of New Amrutha hospital and also Ethics committee members of Navodaya Medical and Dental colleges and a few Pediatric postgraduates. In all, 22 participants attended the workshop. The sessions included topics from distinction between research and therapy to mock ethics committee review. 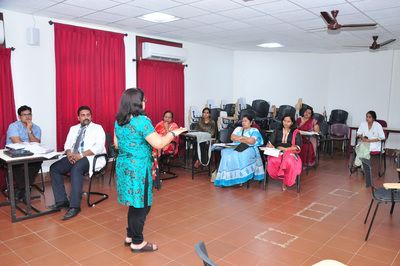 The workshop received a very positive feedback and more than met the expectations of the participants. 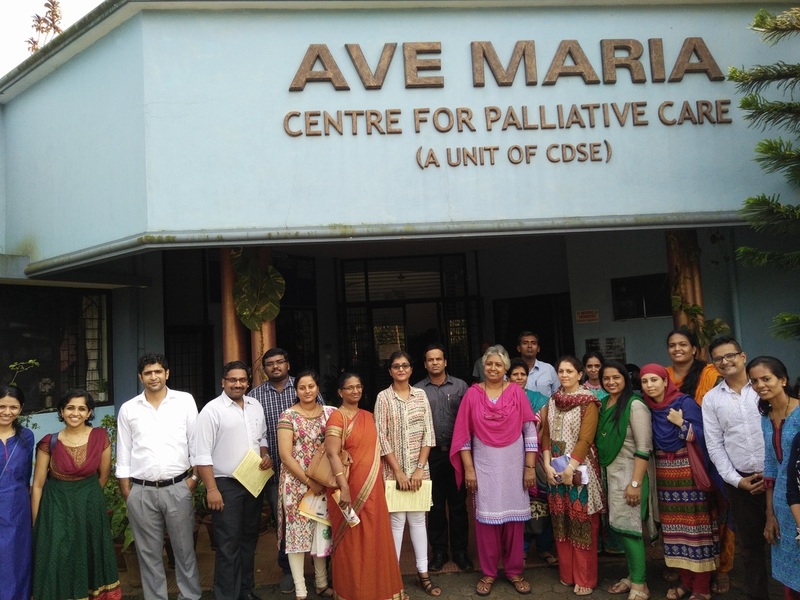 This was the ninth institutional extra-mural mentorship training program carried out by the Centre for Ethics, bringing laurels to Yenepoya deemed to be University, and reaffirming it as a leader in the field of bioethics education in India. 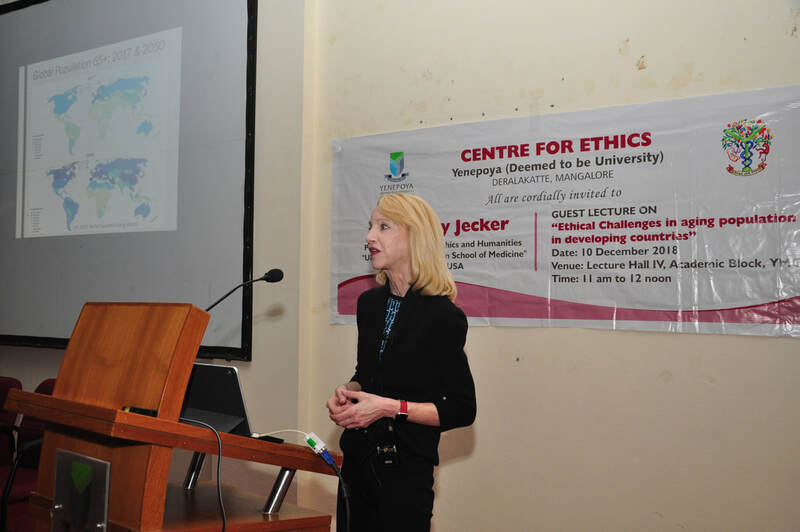 The Centre for Ethics was proud to host Dr. Nancy S. Jecker on 10th Dec 2018 at the Yenepoya deemed to be University campus. Nancy S. Jecker, Ph.D. is a Professor at the University of Washington School of Medicine, Department of Bioethics and Humanities, with adjunct appointments in the Department of Philosophy and School of Law. Her research focuses on individual and societal aging, justice, human dignity, medical futility and global perspectives in philosophy and bioethics. With her vast experience in this field she has authored over 175 articles and 3 books on philosophy and is completing a 4th book, Ending Midlife. Bias: New Values for Old Age. 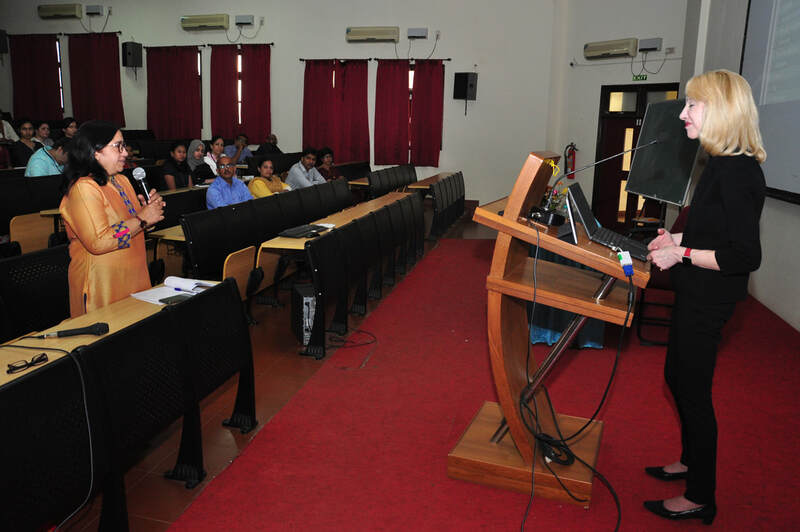 During the guest lecture at the campus, she addressed the faculty, alumni and students of the CFE on the concerns, challenges and at risk determinants of old age. She spoke about-healthy and successful dignified aging, the impact of changing values with age, human capabilities, dignity guided ethics and the way forward. The session ended with an interactive discussion with the audience. 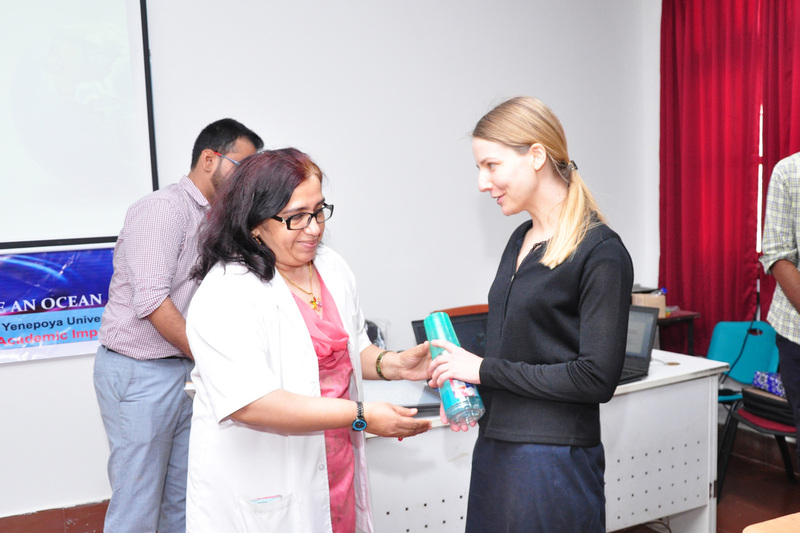 Post lunch, Dr. Nancy interacted with the faculty and students at the CFE where several culture specific issues with aging were discussed. Overall, it was an enlightening experience for the CFE. The Centre for Ethics was pleased to have Dr. Joseph Ali at the Yenepoya Deemed to be University campus on 3rd and 4th December 2018. Prof. Dr. Joseph Ali is the Associate Director, Berman Institute of Bioethics, Johns Hopkins University, and Assistant Professor, Bloomberg School of Public Health, Johns Hopkins University, Baltimore USA). 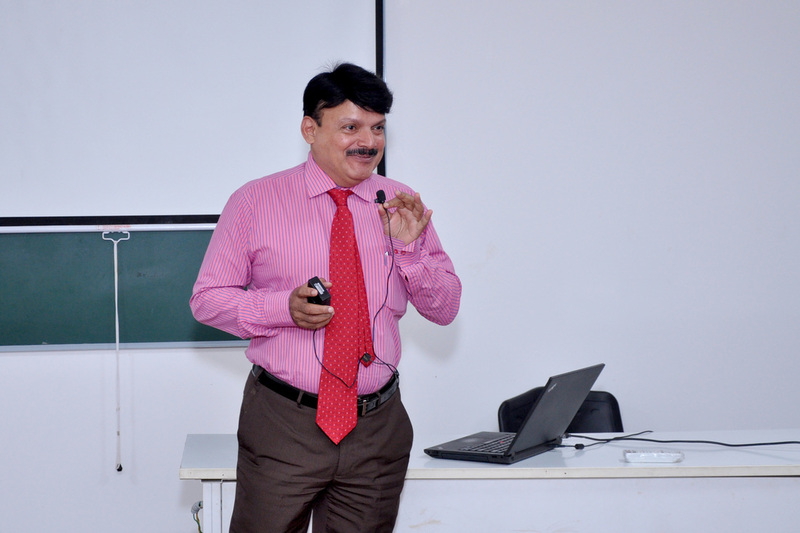 During the guest lecture, Dr. Ali spoke on ethics of global digital health. This lecture focused on the impact of technology in the realm of health care and how the benefits of this can be maximized. He raised concerns about informed consent related issues in digital health care and also the disadvantages it can present to the technologically underprivileged individuals. 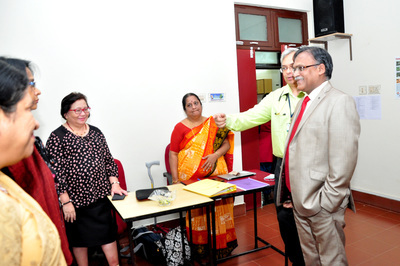 He interacted with the faculty and students of CFE with discussion on global health needs and the role of e- and mobile health care services. 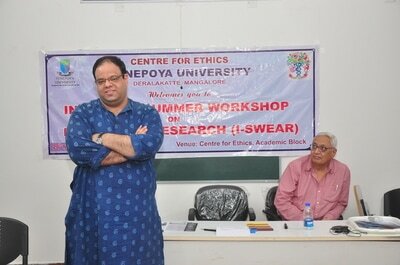 The interaction was thought provoking and inspiring for the students and faculty of CFE. ​Dr. 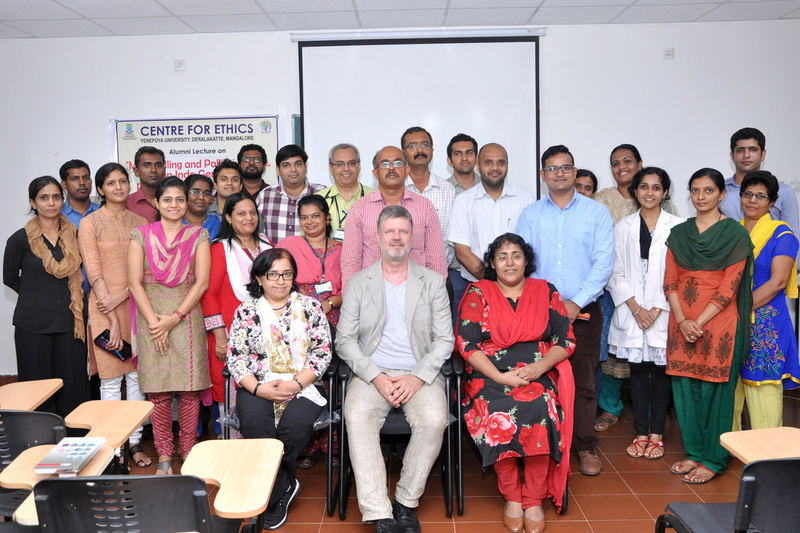 Joseph Ali and his colleague Dr. Jeffrey Kahn are in an on-going mentorship program, in which, Dr. Vina Vaswani, Director, Centre for Ethics, is in the process of developing a white paper on ethical issues in controlled human infection model studies. Dr. Vina Vaswani, Director, CFE; Dr. Uma Kulkarni, Professor - Ophthalmology and Dr. Ravi Vaswani, Professor - Internal Medicine were invited to attend the Global Forum on Bioethics in Research meeting at Stellenbosch, South Africa, on 13 and 14 November 2018. The theme of the meeting was biobanks and research on stored samples in LMICs. 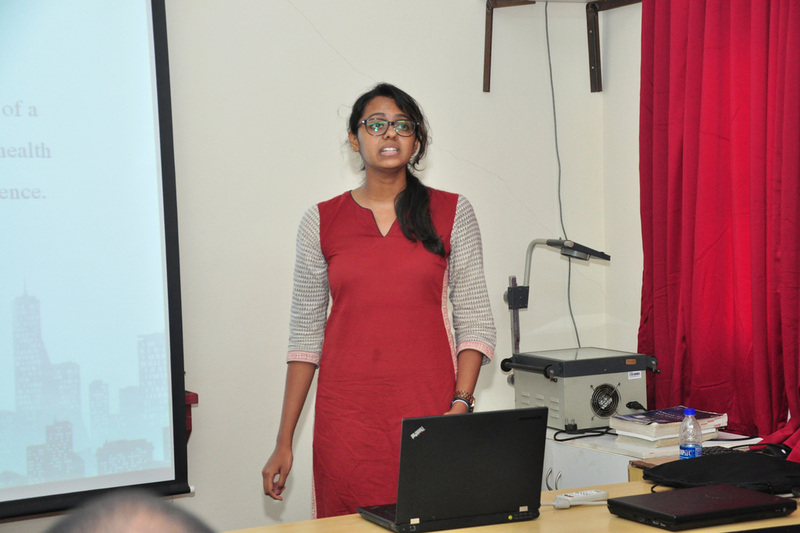 Vina presented a Pecha-Kucha paper on Policy-making on Research on Stored Samples. Ravi and Uma jointly presented a Pecha-Kucha paper on Ethical Issues in Research on Stored Samples (case-based presentation). Ravi and Uma won the Best Pecha Kucha Paper Award. The award was presented by Dr. Carla Saenz, Regional Advisor on Bioethics, Pan-American Health Organization (PAHO)/World Health Organization (WHO). 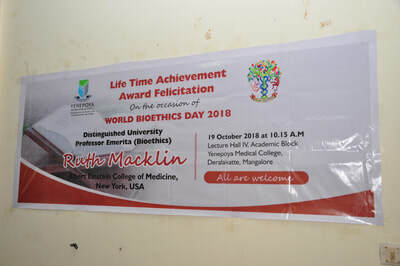 On the occasion of World Bioethics Day on 19 October 2018, the Centre for Ethics, Yenepoya (deemed to be) University felicitated and conferred a “Lifetime Achievement Award” to Distinguished University Professor Emerita Ruth Macklin in recognition of her contribution to the field of global research bioethics. Ruth Macklin is a Bioethics faculty at the Albert Einstein College of Medicine in New York, USA. She is a prolific writer, an inspiring teacher and has a vast experience as member, advisor and consultant at various prestigious organizations including World Health Organization, United Nations Program on HIV/AIDS, Centers for Disease Control and Prevention. She is also the recipient of several awards including the prestigious Hasting’s Center’s Henry Beecher Award. 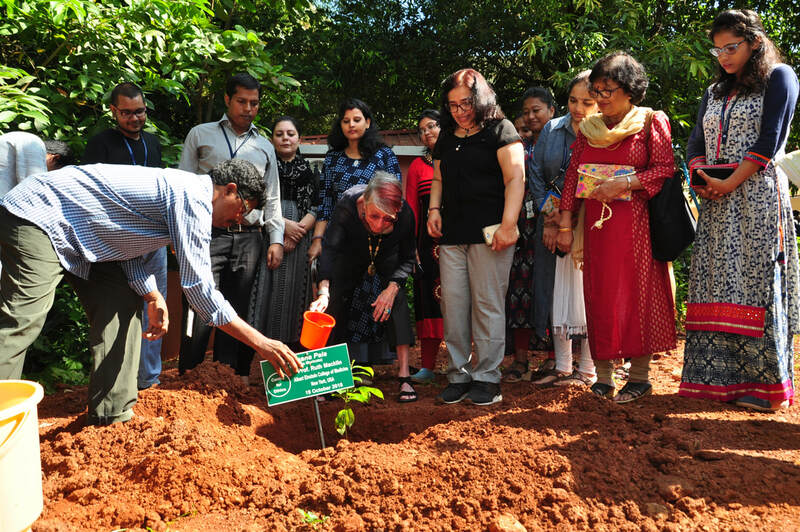 In keeping with the Centre for Ethics's commitment to environment protection, Prof Ruth Macklin planted a sapling in the university campus before reaching the venue for the presentation. The citation was read out and presented at the Lecture Hall IV, Academic Block, Yenepoya Medical College, Mangalore on 19 October 2018 at 10.15 AM. Yenepoya Deemed to be University was honored and privileged to confer the Lifetime Achievement award to Prof Ruth Macklin on this day. The award was conferred by Prof. Dr. Gangadhar Somayyaji KS, (Registrar) in the presence of dignitaries Mr. Farhaad Yenepoya (Director - Finance), Dr. Moosabba MS (Principal, Yenepoya Medical College), Prof. Abdul Rehman, Former Vice Chancellor of Kannur and Calicut Universities and Prof. Dr. Akhter Hussain, Secretary, Islamic Academy of Education. After the presentation of the award, Prof Ruth Macklin spoke on ‘Vulnerable populations in the context of research’ which was followed by an interactive session with students and faculty. Prof. Macklin informed the audience that rather than simply referring to vulnerable people using labels, it was better to consider the context and situations in which people might be rendered vulnerable. She also suggested that many of the guidelines – with the exception of the recently revised Council for International Organizations in Medical Sciences (CIOMS) guidelines - have failed to provide clear, actionable directions to identify, protect vulnerable populations and mitigate exploitation. Simply excluding vulnerable people from research, is to deny them the benefits of research. 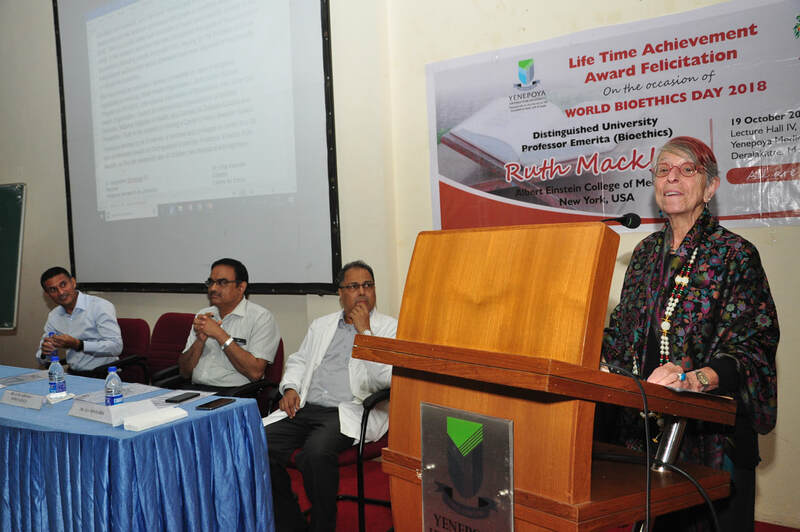 Prof. Macklin has championed the cause of people living with HIV, and in large measure, the recruitment of this vulnerable section of society in research, is due to her untiring efforts to get them their due benefits emerging from research. 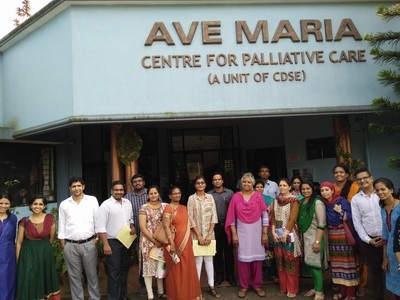 Prof. Macklin was visiting the Centre for Ethics, Yenepoya deemed to be University, where she is a faculty on the Yenepoya University-Fogarty International Center Research Ethics Master's Program for India. 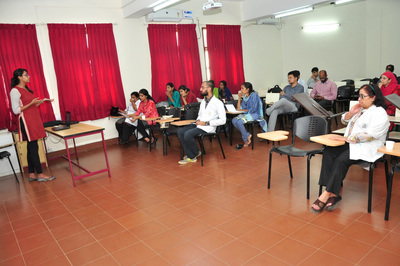 This is a unique Master's Program in the country, being offered only by Yenepoya deemed to be University, supported by an educational research grant from National Institutes of Health, USA (Grant No. 1R25TW010305). 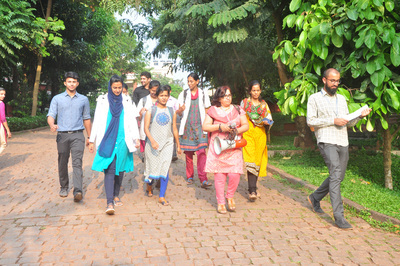 The Centre for Ethics, Yenepoya deemed to be University, Mangalore successfully completed the seventh edition of its annual feature - Intensive Summer Workshop in Ethics and Research (I-SWEAR). 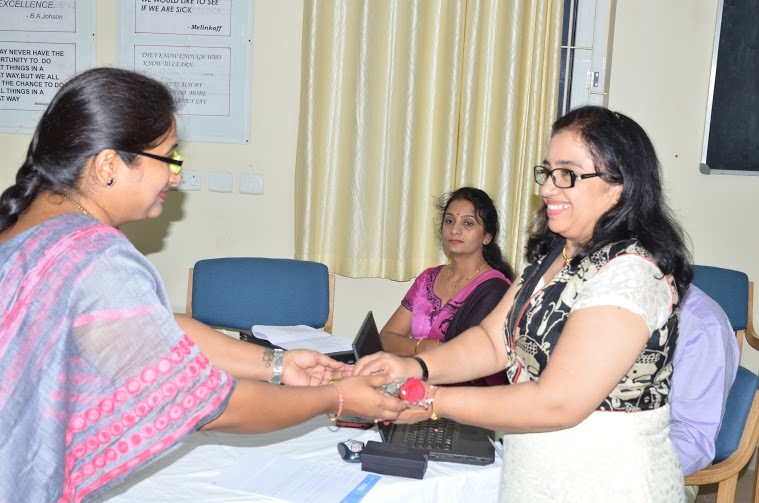 Apart from its growing popularity and consistency in the standard of training, the highlight of this year's program was the registration of four participants from across the borders of India -- Nepal -- for the first time. A total of 29 delegates registered and actively participated in the workshop. 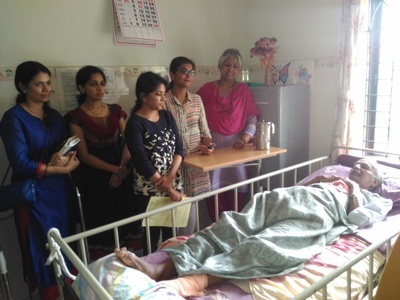 Of these, 14 were from the medical fraternity, 9 from dental and 6 from others like sociology. Six delegates were members of institutional ethics committees. 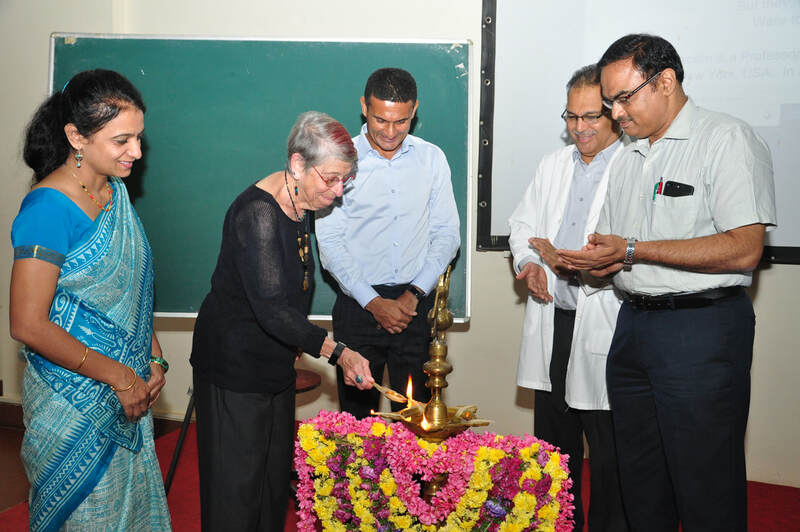 On the first day, the Vice Chancellor Dr. M Vijayakumar inaugurated the program. 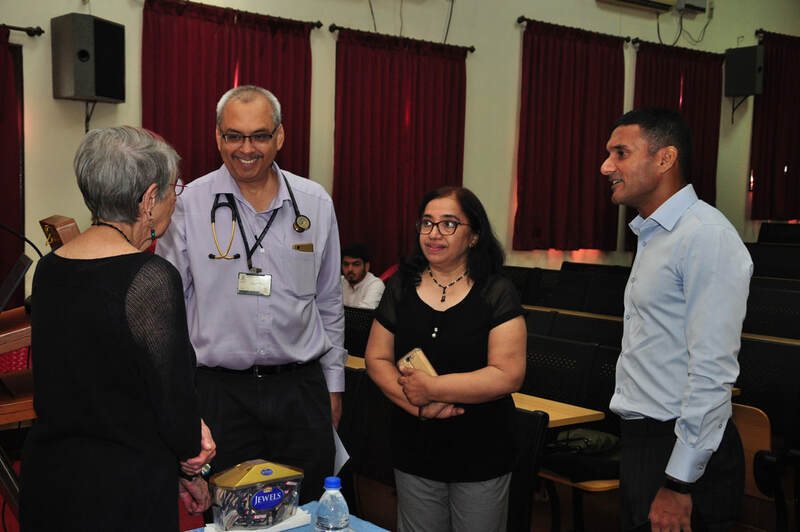 The Registrar - Dr. G Shreekumar Menon, Vice Principal, Yenepoya Dental College - Dr. Sham Bhat, and the Karnataka Medical Council Observer - Dr. Cynthia Arunachalam also graced the dais. Dr. Ravi Vaswani introduced the delegates to the distinction between research, healthcare, innovation and experimentation; the differing standards in research and practice was brought out through a case study. Dr. Amar Jesani shed light on the concepts of clinical equipoise and therapeutic misconceptions which are crucial in understanding research ethics. 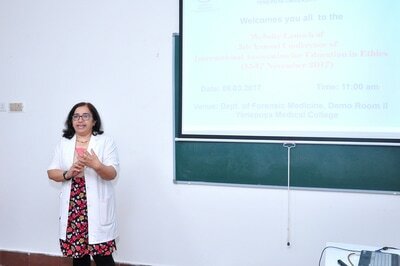 Dr. Uma Kulkarni introduced the delegates to the principles and theories of ethics in research and their application in analysis of ethical issues in research. The afternoon session was focused on understanding the concept of vulnerability in research with the screening of the educational movie “Ms. Ever’s Boys” based on the Tuskegee syphilis trial. The ethical issues were discussed by Dr. Amar Jesani and this was followed by a presentation on identifying and managing vulnerability in research by Dr. Uma Kulkarni. The second day began with a recap of the previous day. 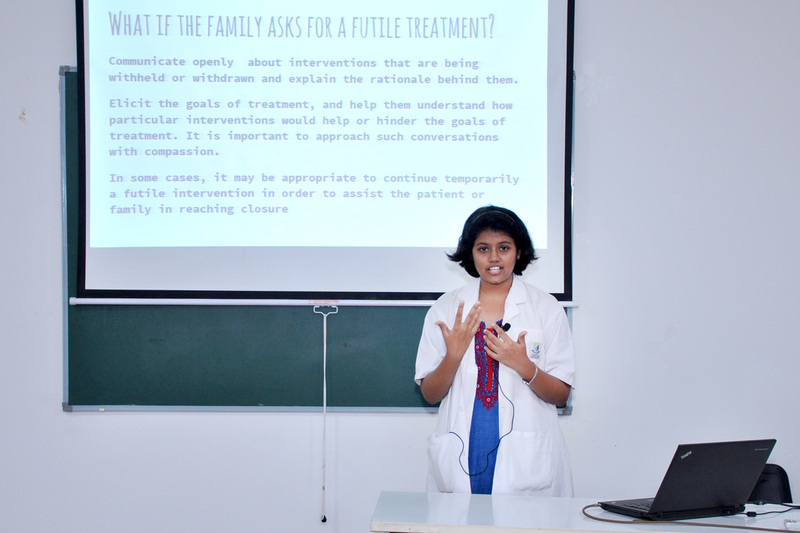 Informed consent, its basis, importance, components and methods were discussed by Dr. Uma Kulkarni. Importance of maintaining privacy of participants and confidentiality the data in clinical research were highlighted by Dr. Amar Jesani with the screening of a documentary. Dr. Ravi Vaswani conducted a session on the ICMR guidelines for conduct of research on human participants and also the ICMR guidelines on stem cell research. Further, Dr. Amar Jesani discussed risk: benefit analysis in clinical research and the methods of minimizing risk. In the post-lunch session, Dr Arun Bhat spoke on the laws and regulations related to clinical trials. 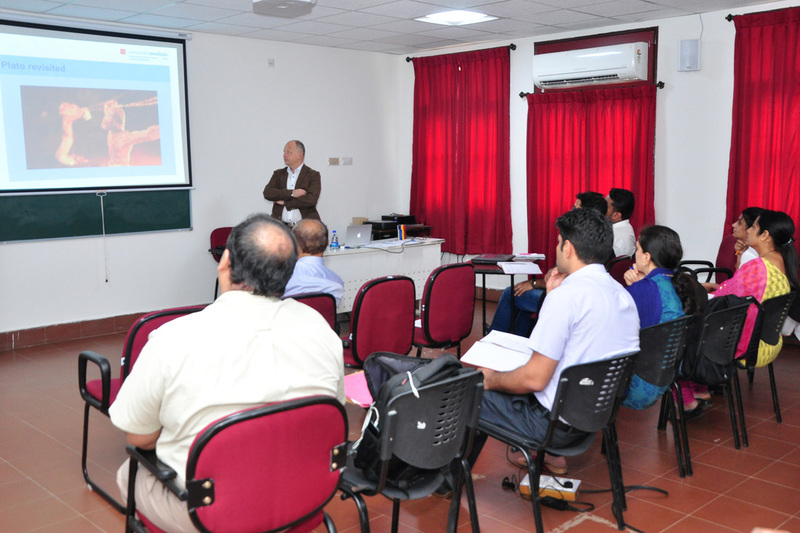 Dr. Amar Jesani conducted a session on ethics committees: structure, composition, functioning and responsibilities. The day ended with Dr. Ravi Vaswani dividing the delegates into four ethics committees and “mock research protocols” were given to the committees for review. The third day included more advanced topics in research. After the recap, Dr. Arun Bhatt spoke on the regulations governing Serious Adverse Events (SAE) reporting and compensation issues in research. He also spoke on the design and functioning of a clinical trial, the role of Central Drugs Standard Control Organization (CDSCO) and insurance issues. Community engagement in research was discussed by Dr. Abhay Nirgude and Dr. Mala Ramanathan with the help of case vignettes and group discussions. Dr. Ravi Vaswani clarified the concept of conflict of interests (CoI), its identification and mitigation during the conduct of research, in the review processes of the ethics committees and in publications. A documentary highlighting the ethics of publication was screened. In the post-lunch session, Dr. Anant Bhan discussed about the importance of understanding the standards of care and post-trial access/benefits in clinical research. 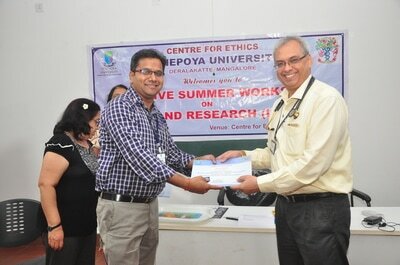 The last day focused on responsible conduct of research (RCR). Dr. Mala Ramanathan spoke about the importance of transparency and accountability; and Dr. Anant Bhan and Dr. Amar Jesani discussed scientific misconduct and the importance of identifying and negating it. 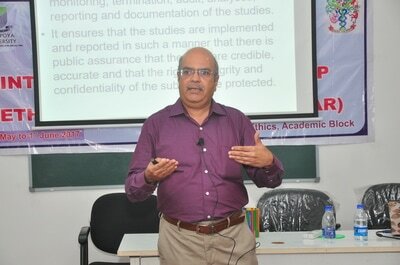 The morning session ended with a talk on ethical issues in animal research by Dr, Anant Bhan. The afternoon session comprised the mock ethics committee meetings by the four groups, who were very enthusiastic and serious about the review processes. 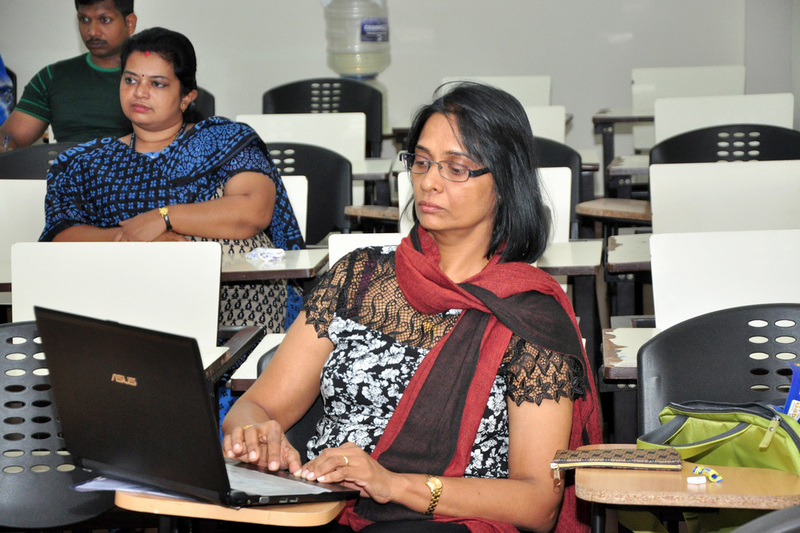 The session was judged by Dr. Anant Bhan and Dr. Mala Ramanathan. Overall, at the end of the fourth day, the delegates expressed their learning experience as a very unique, enjoyable and fruitful one. Feedback was collected from the KMC observer and from the delegates. ​Dr. 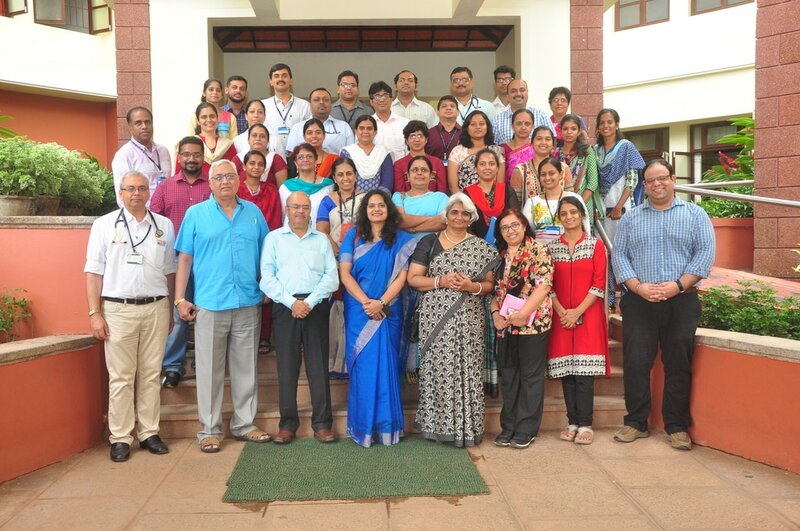 Vina Vaswani, Dr. Uma Kulkarni and Dr. Ravi Vaswani were invited to conduct a one-day primer workshop at KLE Academy of Higher Education & Research (KAHER, Belagavi, Karnataka) on 30 April 2018 titled "Ethical Issues in Research Involving Human Subjects". 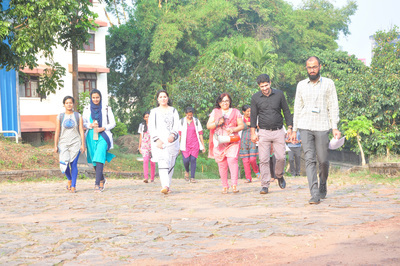 35 healthcare professionals from various backgournds (medical, dental, nursing, ayurveda, homeopathy and hospital administration) from various institutions in and around Belagavi participated. After a brief introduction and pre-test, Dr. Vina introduced the participants to the concept of bioethics, and its location in modern healthcare and research, using historical events to plot the progress of bioethics in the field of human subject research. 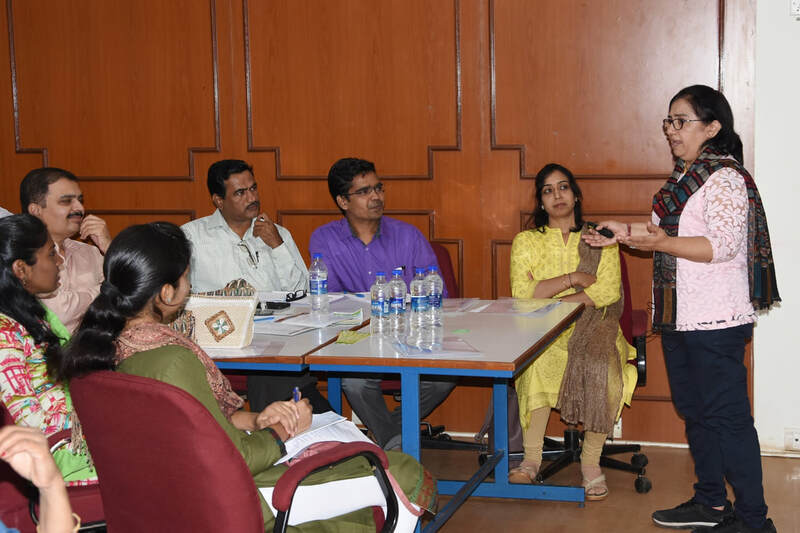 Dr. Uma Kulkarni carried on with priming the participants about the basic ethical tools that ethics committees use to assess research protocols. In the post-lunch session, Dr. Ravi Vaswani familiarized the participants with the regulations and guidelines governing ethics in research and also details on the composition, scope and functioning of ethics committees. The last session (jointly conducted) was on Responsible Conduct of Research which covered researcher responsibilities, scientific misconduct, authorship issues, conflict of interest, copyright issues and privacy/confidentiality. 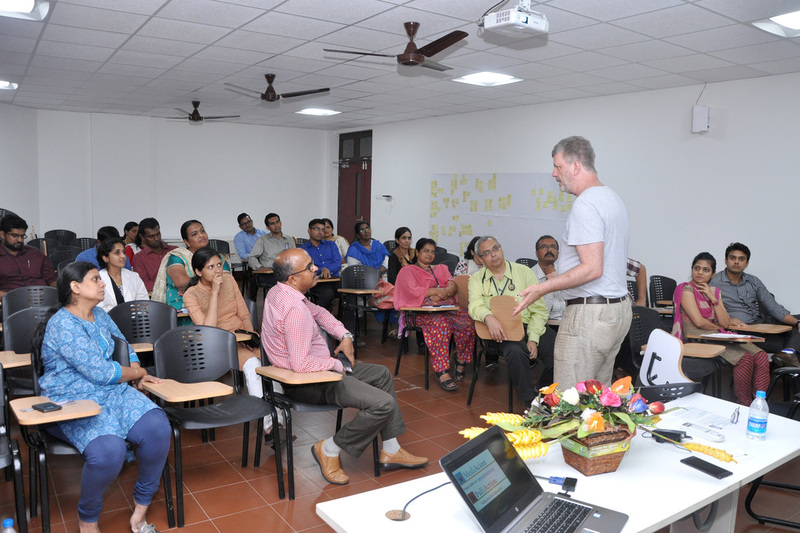 The program ended with a post-test, feedback and valedictory. All the participants appreciated the program and felt enriched. 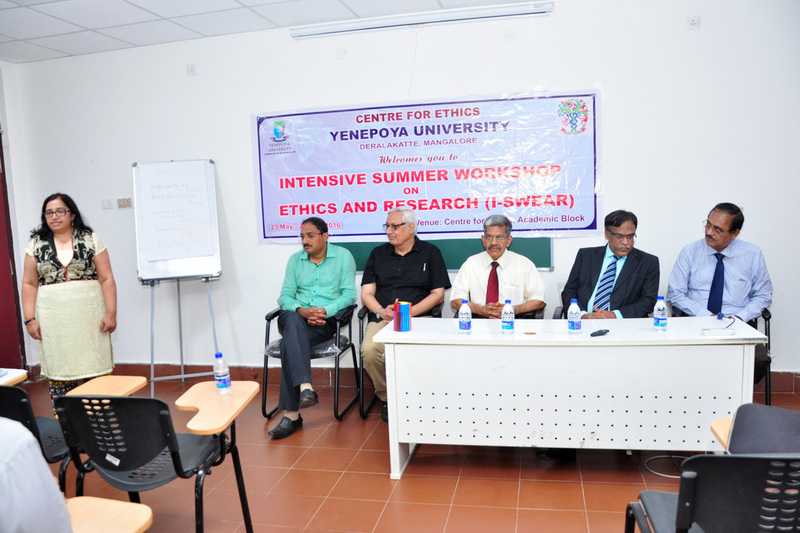 Centre for Ethics, Yenepoya University organised its sixth Intensive Summer Workshop on Ethics and Research from 29th May to 1st June 2017. Addressing at the inaugural session, Dr Amar Jesani, an independent Bioethics Consultant and Editor, Indian Journal of Medical Ethics, appreciated the effort of Yenepoya University for conducting the summer workshop systematically for the past five years for training ethics committee members and researchers in India. He mentioned that India needs hundreds of institutions doing useful research giving importance to ethical aspects to develop research and science. Dr B H Sripathi Rao, Principal, Yenepoya Dental College addressing as a chief guest of the workshop said that through the years Centre for Ethics of Yenepoya University has progressed steadily in the areas of research and academics through international collaboration. He said that the skill and knowledge gained through this workshop should spread to the participant's respective colleges and ethics committees. The main focus of the Intensive Summer Workshop on Ethics and Research (I-SWEAR) was to empower participants who are presently engaged in research or are serving on institutional ethics committees or are likely to serve in the coming years – the knowledge and tools to recognize and deal with various ethical issues arising out of research on human subjects. 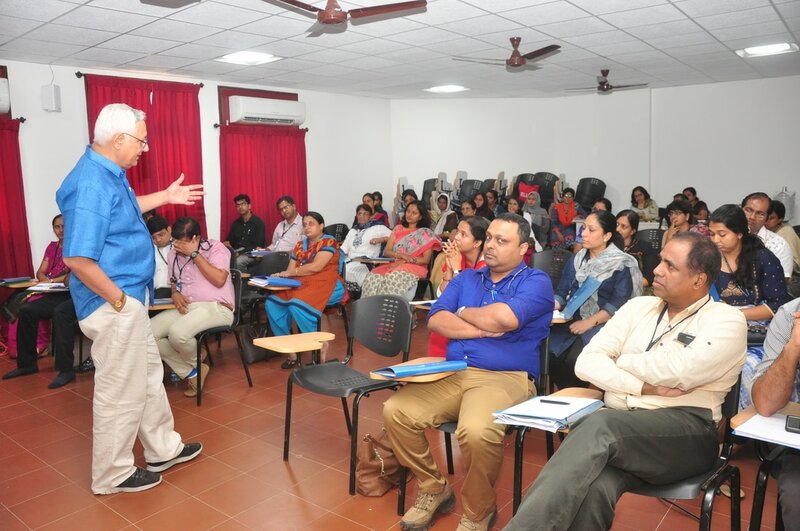 The course also trained participants in Good Clinical Practice along the guidelines laid down by the International Committee on Harmonization (ICH-GCP) by Dr. Arun Bhatt, Consultant and is a joint editor-in-chief of Perspectives in Clinical Research - the journal of ISCR. Dr Roli Mathur, Senior Scientist ICMR, Dr Mala Ramanathan, and Dr Anant Bhan were the other resource persons who dealt on different issues of research ethics. 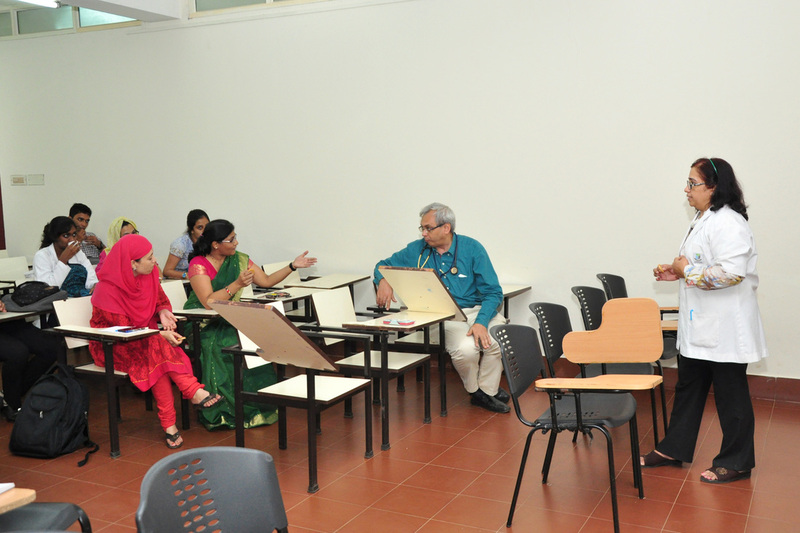 Dr Vina Vaswani, Dr Ravi Vaswani, Dr Uma Kulkarni and Dr Abhay Nirgude were the inhouse faculty. 38 participants across 5 states attended the workshop. 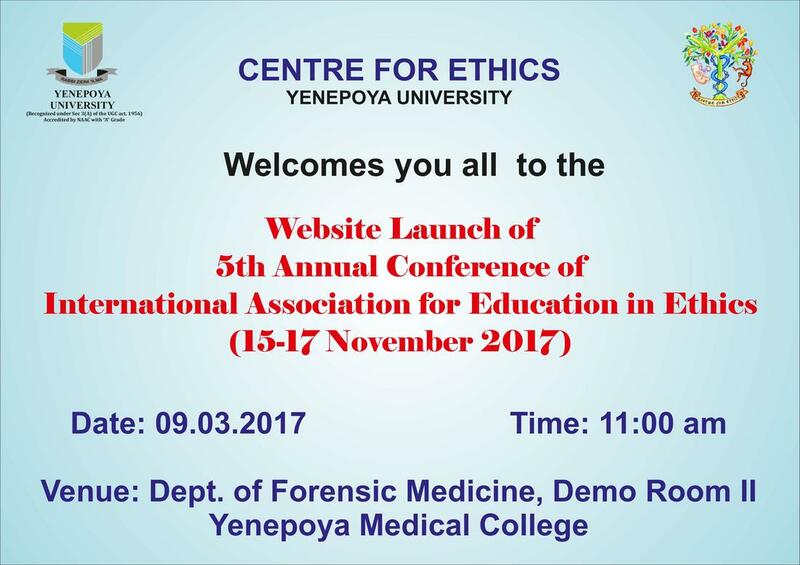 ​The Website Launch of 5th Annual Conference of International Association for Education in Ethics held on March 9th 2017. 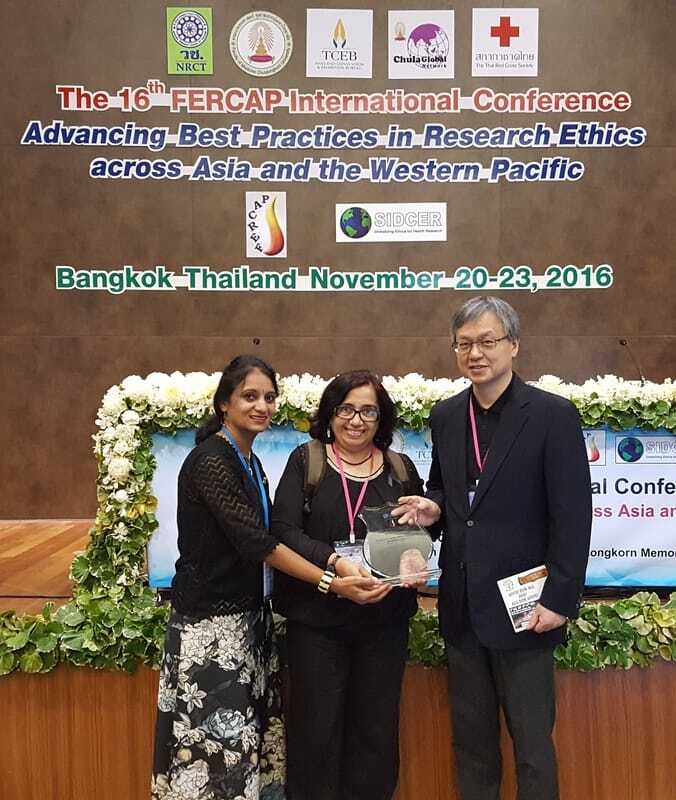 ​Yenepoya University Ethics Committee is now a proud recipient of the recognition by FERCAP during the 16th FERCAP International Conference held at King Chulalongkorn Memorial Hospital Campus, Bhumi Siri Manglanusorn Building, Bangkok, Thailand on November 20-23, 2016. 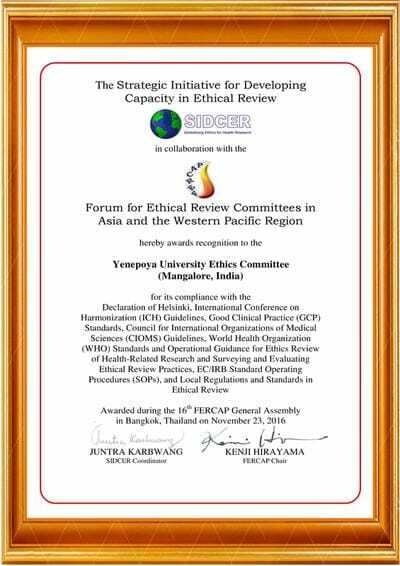 The certificate was received by Dr. Vina Vaswani, Director, Centre for Ethics, Yenepoya University and Secretary, YUEC and Dr. Uma Kulkarni, Professor, Ophthalmology and Joint secretary, YUEC from FERCAP Chair Kenji Hirayama (Japan) and FERCAP secretary Rong Wu (China). As a part of the conference, the YUEC poster was displayed in the conference hall along with other posters. The YUEC poster highlighted the details of the YUEC including history, membership, goals, activities, training and mentoring activities. YUEC is the 10th in India and the first in Karnataka to receive recognition from FERCAP. The special meeting of ENCIRCLE, Walkathon, walk for ethics was held on 12th November 2016. 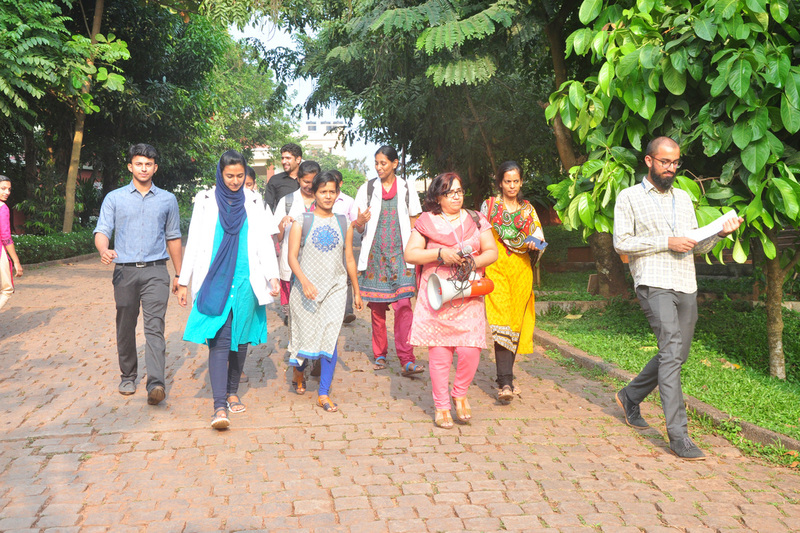 The members of ENCIRCLE along with the key speakers walked from the college entrance to Yendurance. The walk was headed by Dr. Vina Vaswani who enlightened the participants on ethical problems each and everyone faces. She explained how one can justify an act and make right decisions. She elaborated the decision making giving case study which made members to identify the best possible solution which was found to be ethical as well as humanitarian. Throughout the walk there was a good discussion on existing ethical issues. Ms. Shifali Shetty, student, 3rd year MBBS gave a presentation on “Look out for enticements” at Yendurance theatre. It was about current affairs regarding doctors and the medical representatives and how our patients are affected by business tactics of drug companies. There was exchange of ideas and many situations which are happening around us. Though it was a sensitive topic, members were able to openly come up with solutions and ideas to tackle them. The entire presentation ended up with a slogan “Think twice before you act, nothing comes for free". 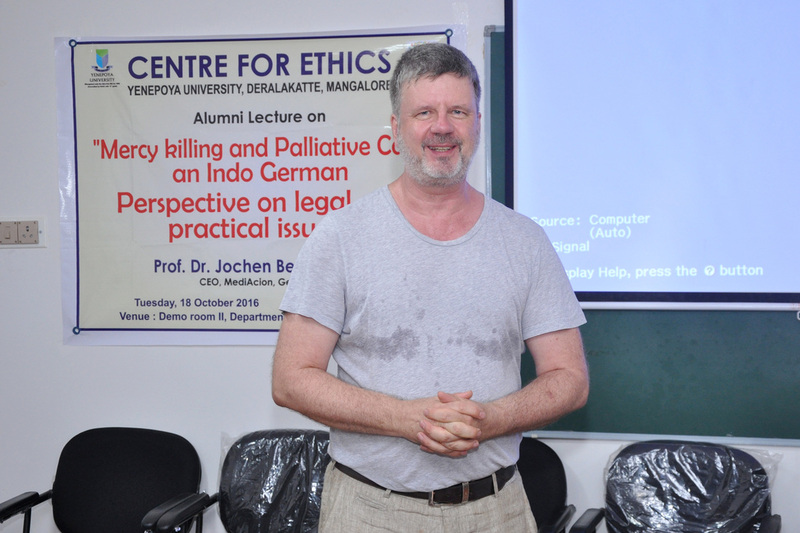 On the occasion of Alumni Day, a lecture on "Mercy Killing and Palliative Care - an Indo-German perspective on legal and practical issues" was held on October 18, 2016 at Forensic Department, demo room II. 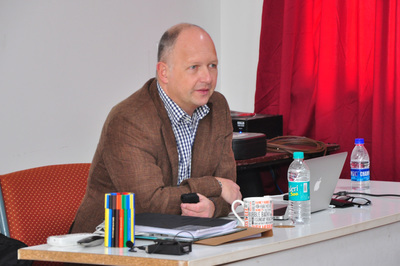 The key resource person was Prof. Dr. Jochen Becker-Ebel, CEO, MediAcion, Germany. The sixth meeting of ENCIRCLE was held on 19th July 2016 at Forensic Medicine Demo Room 2. 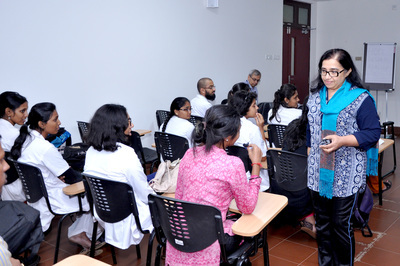 The topics for the day were Ethical issues with Surrogacy by Dr. Vina Vaswani, Director, Centre for Ethics and Ethical Issues in Medical Futility by Ms. Tejaswini, 2nd year MBBS student from Yenepoya Medical College. 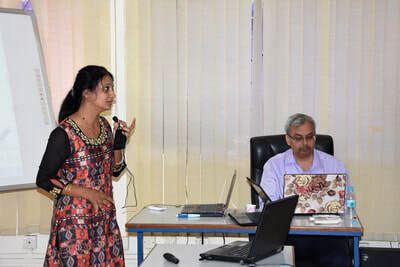 Ms. Tejaswini in her presentation gave a brief note about medical futility which is a point in the management of a seriously ill patient wherein any intervention is unlikely to produce any significant benefit to the patient. She mentioned about two types of medical futility, i.e quantitative futility where the likelihood of an intervention to benefit the patient is exceedingly poor and qualitative futility where the quality of benefit an intervention will produce is exceedingly poor. She stressed upon the importance of communication required with regard to interventions that are being withheld or withdrawn and explain the rational behind them. She stressed the importance of having conversations with compassion. 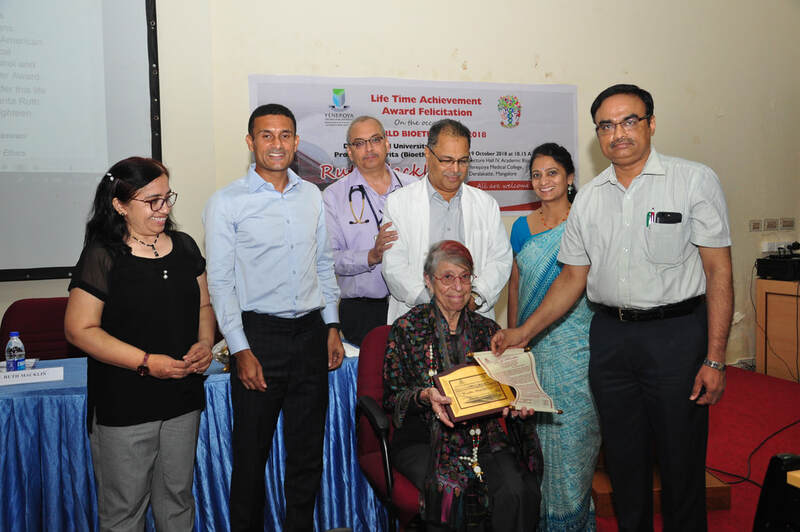 Dr. Vina Vaswani highlighted ethical issues related to surrogacy. She elaborated on advances in medical technology, impact of technology on society, fertility and infertility and then broadly briefed about some new medical technologies which are developed have the potential to change our bodies, our brains, our emotions and help in longevity. 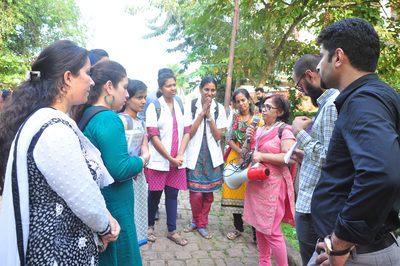 She informed that 50 million girls and women are missing from India's population as a result of systematic gender discrimination in India and one in every five girls is being eliminated at the foetal stage. Mentioning about the increasing trend in surrogacy, Dr. Vina said how far surrogacy uphold human rights and dignity and it makes some people instrument for another. She questioned whether the choice made by surrogate mother is truly a free choice - (autonomy) - or is it a form of subtle coercion? Is it safe in short term as well as long term? 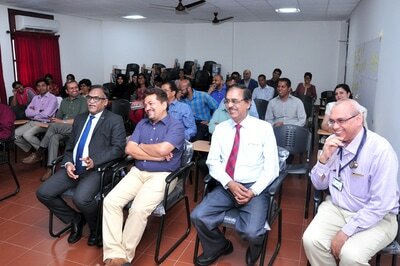 There was a good discussion amongst the speakers and the members of the club. 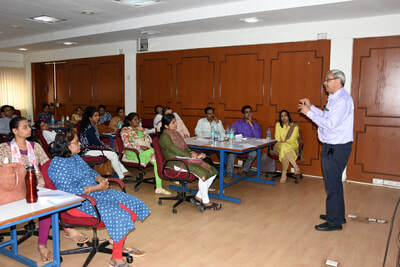 Dr. Sreekumar Menon, Registrar addressed the members and said doctors must take the patients in to confidence and cajoled everyone to be a good doctor. Around 35 members participated in the meeting. 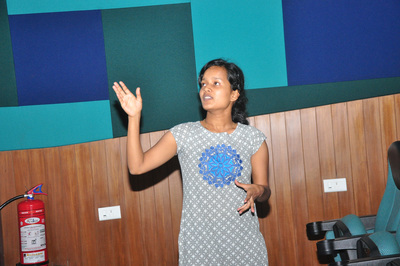 Dr. Leena Pramod, Curator, Dept. of Forensic Medicine compeered the meeting. Ms. Venessa, student 3rd year MBBS proposed vote of thanks. 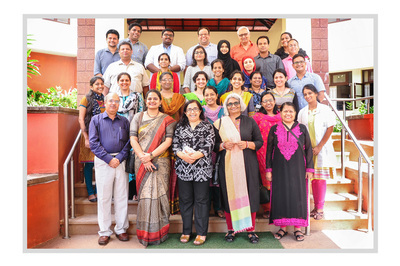 SS Institute of Medical Sciences, Davangere invited YUEC to conduct a two-day workshop on International Council for Harmonization - Good Clinical Practice (ICH-GCP) on 30 June and 1 July 2016, so as to train the ethics committee members of SSIMS. The ICH-GCP is the global standard for quality in biomedical research. 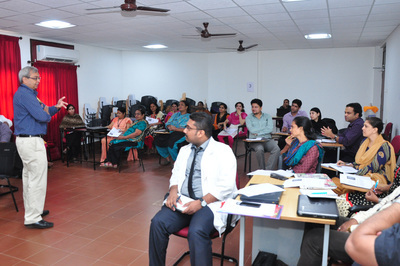 The YUEC team that conducted this workshop consisted of Drs. Vina Vaswani, Uma Kulkarni and Ravi Vaswani. The workshop was very well received as per the feedback from the participants. 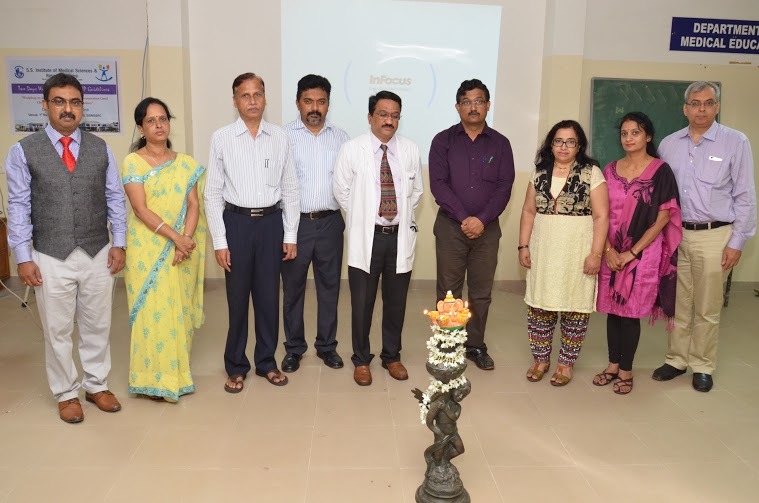 ​The Principal Dr. Sham Prasad, the Vice Principal Dr. Arun Kumar, Dr Shashikala, MEU Co-ordinator, Dr. Vinod, EC member and convenor and Dr. Basavaraj, Principal J.J School of Pharmacy, Dr. Srinivas Deshpande, Principal of Gadag Medical College, and EC members from GIMS, SSIMS, JJMC, Dental College, attended the workshop. ​Memorandum of Understanding was signed on 16 June, 2016, between Centre for Ethics, Yenepoya University and Narayana Dental College and Hospital and Narayana Nursing College, Chinthareddypalem, Nellore, with the objectives providing guidance & support for the development of a Bioethics Centre, and training their staff in broader areas of bioethics including research and publications and for starting academic courses. 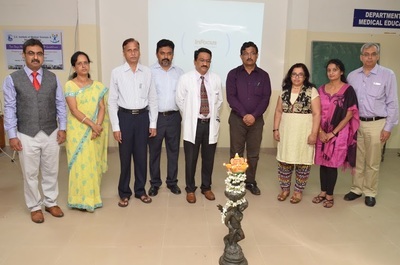 The MoU was signed by Dr. N. Kannan, Professor & Head, Department of Oral Medicine & Maxillofacial Imageology, Narayana Dental College, and Institutional Co-ordinator, Centre for Bioethics, Nellore, Dr. C.V Raghuveer, Registrar, Dr. Vina Vaswani, Director, Centre for Ethics, Yenepoya University. 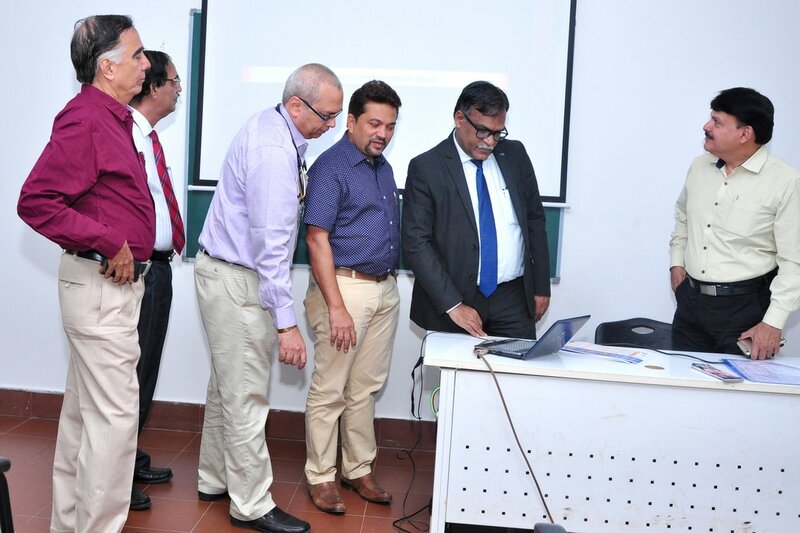 Dr. Sreekumaran Nair, Additional Registrar, Yenepoya University, Prof. Abdul Rehman, Former Vice Chancellor, Kannur & Calicut University were present on the occasion. For the fifth year, the Centre for Ethics at Yenepoya University successfully completed the week long Intensive Short Training Course in Ethical Issues on Biomedical Research from 23 to 27May 2016. Participants from within the University and outside, from various disciplines registered. 6 CME credits were accorded to this workshop by Karnataka Medical Council and 18 credit points by Karnataka State Dental Council. The focus was to empower participants engaged in research or serving on institutional ethics committees with knowledge and tools to recognize and deal with ethical issues of research on human subjects. 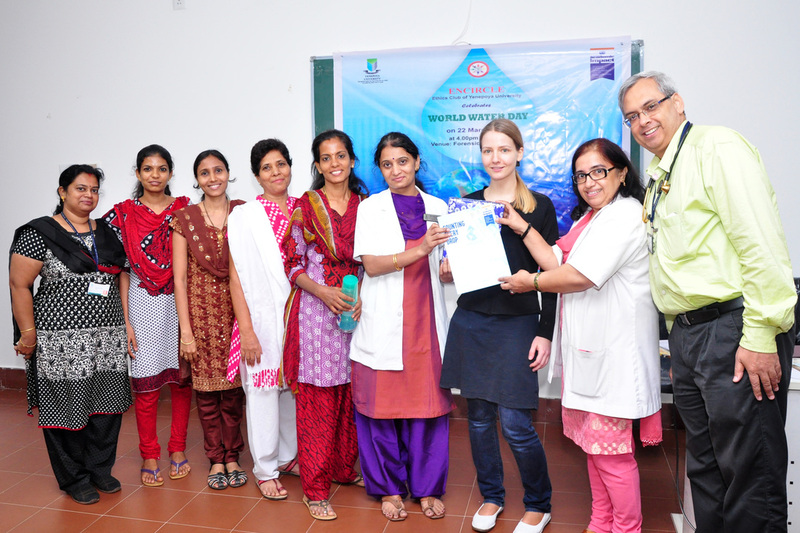 The course trained the participants in Good Clinical Practice along the guidelines laid down in the International Conference on Harmonization (ICH-GCP). This five-day Intensive Summer Workshop on Ethics and Research (I-SWEAR) program was conducted over 5 days (9am to 4.30pm) spread over 20 sessions. Topics covered were relevant to the present day scenario of biomedical research in India, and structured using revised guidelines of Indian Council of Medical Research on ethical issues in biomedical research, Schedule Y of Drugs and Cosmetics Act (including recent amendments and Supreme Court decisions), ICH-GCP guidelines and other relevant national and international regulations. 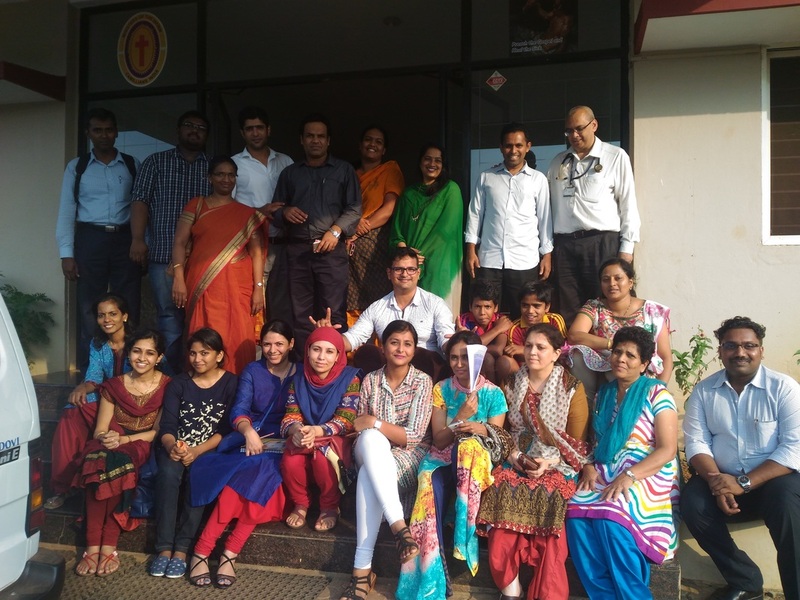 Dr. Amar Jesani: Dr. Jesani an Honorary Trustee of Anusandhan Trust based in Mumbai. He is a visiting Professor to the Centre for Ethics, Yenepoya University since 2012, and one of the founders of the Indian Journal of Medical Ethics. Dr. Roli Mathur :Scientist E, Division of Basic Medical Sciences, Indian Council for Medical Research, New Delhi. Dr. Arun Bhatt MD (Med), FICA (Ind) FICR (UK): Dr. Arun Bhatt, Consultant and is joint editor-in-chief of Perspectives in Clinical Research - the journal of ISCR. Dr.Anant Bhan MA(Bioethics): An independent researcher and Consultant in the fields of bioethics and public health. He is a visiting Professor to the Centre for Ethics from 2014. 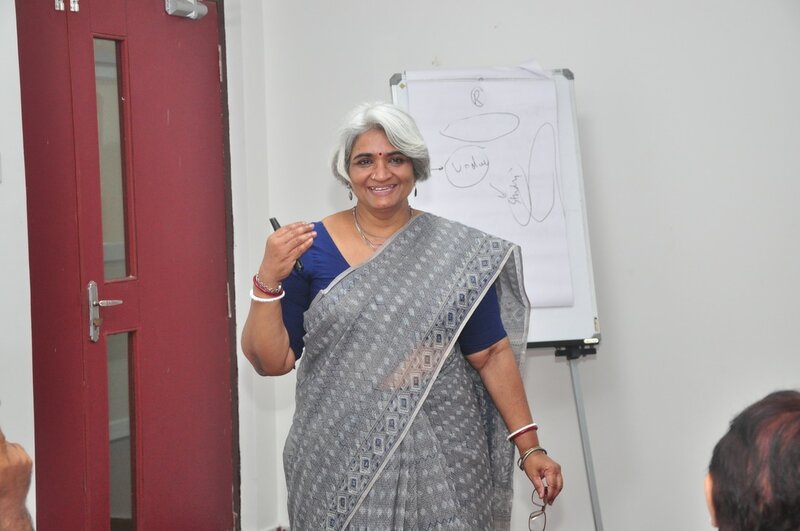 Dr. Mala Ramanathan: Additional Professor, Achutha Menon Centre for Health Science Studies and Member, Institutional Ethics Committee, Shri ChitraTirunal Institute for Medical Sciences and Technology, Trivandrum. 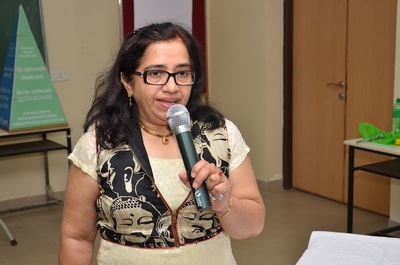 Dr. Vina Vaswani MD, M Phil, MA (Bioethics): Professor and Head, Department of Forensic Medicine & Toxicology and Director, Centre for Ethics, Yenepoya University, Mangalore. She is currently the Secretary of Yenepoya University Ethics Committee. 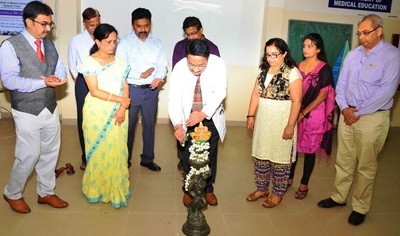 Dr. Abhay Nirgude: Currently working as Professor and Head, Department of Community Medicine, Yenepoya Medical College, Yenepoya University, Mangalore. Dr. Uma Kulkarni: Professor in the Department of Ophthalmology, Yenepoya Medical College, Mangalore with additional qualification of Post Graduate Diploma in Bioethics and Medical Ethics and Post Graduate Diploma in Clinical Ethics. She is a faculty in Centre for Ethics. Participants can serve on ethics committees in a more meaningful manner and enhance the functioning of their Institutional Ethics Committee. Perform research using protocols designed to conform to the highest ethical standards as laid down by ICMR and Drugs and Cosmetics Act. By word of mouth these participants will attract more participants next year, spreading the popularity of our program and university. Additionally many of these participants already are serving as Ethics Committee members or are likely to do so or are active researchers in their own right. By conducting this workshop the Centre for Ethics is enhancing the upgrading of quality of research and ethical reviews across the country. When the research or the trial is significant and ethical then it goes for publication in Peer review journals then it can form the basis for evidence. A good trial with ethics helps the patients/participants. It will also increase confidence and trust from the people when research is for the benefit of the people. 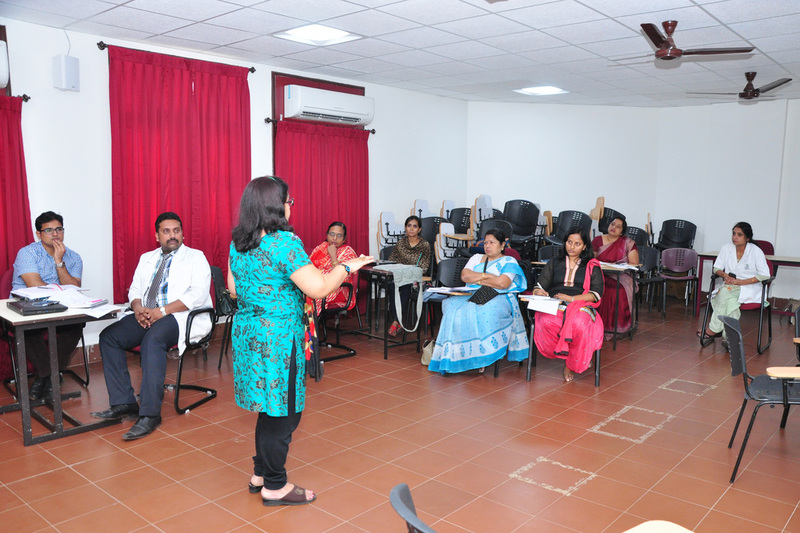 22 participants were trained to be the Ethics Committee members and ethical researchers. 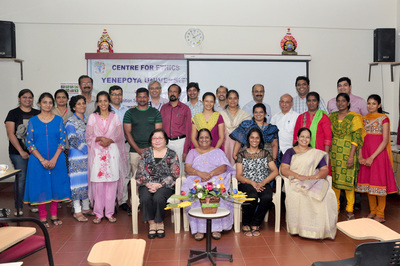 The Annual Research Ethics Workshop in Yenepoya University is a fine example of sustained training program with Public Private Partnership, ICMR contributing through resource person and part funding, resource persons from rich background of Industry, Academics, NGO and Social Scientists. 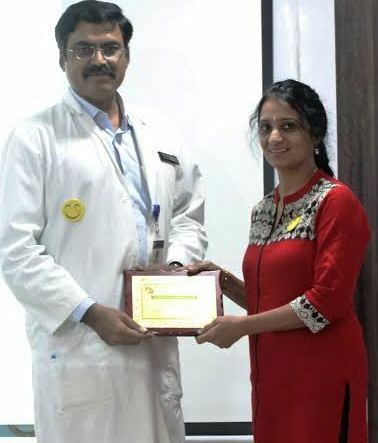 The Centre for Ethics is grateful to the ICMR for the partial financial assistance and Karnataka Medical Council for awarding 6 credits and Karnataka State Dental Council, Bangalore, for awarding 18 points for the workshop. 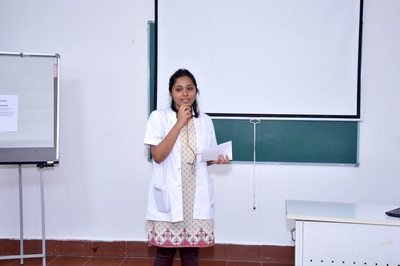 Sri Devraj Urs Medical College University Kolar conducted a national-level undergraduates conference "DEMEDCON 2016" from 19 to 21 April 2016. 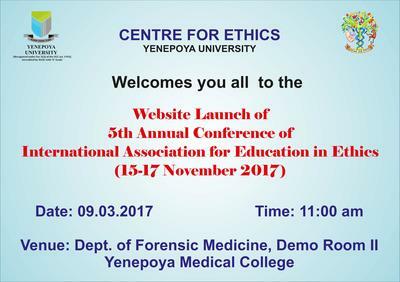 The Centre for Ethics @ Yenepoya University was invited to conduct a day-long practical workshop for medical undergraduates on "Medical Ethics". 14 students registered and the topics covered were basics of ethical theories, principles, informed consent, research ethics, publication ethics and professionalism. On the occasion of World Water Day, the fifth meeting of ENCIRCLE was held on 22nd March 2016 at Forensic Medicine Demo Room II. Centre for Ethics has been recognized by United Nations Academic Impact (UNAI). 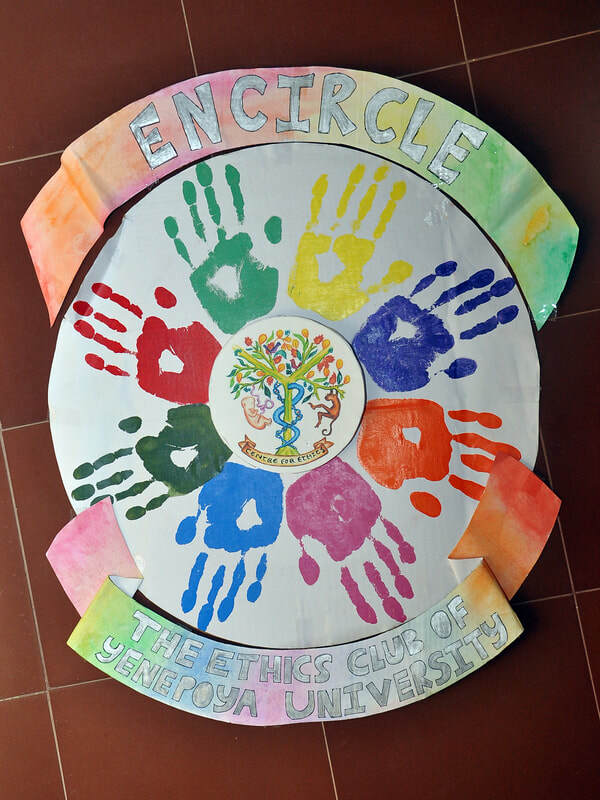 In the light of this recognition, the Centre for Ethics in association with ENCIRCLE, the ethics club of Yenepoya University, observed World Water Day which is one of the mandates of UNAI. As is the custom in Centre for Ethics, the guest are not given cut flowers, but rather made to plant the saplings to add to green campus initiative. The honourable Vice-Chancellor, Dr. M. Vijay Kumar was the chief guest and to mark this occasion he planted the sapling. 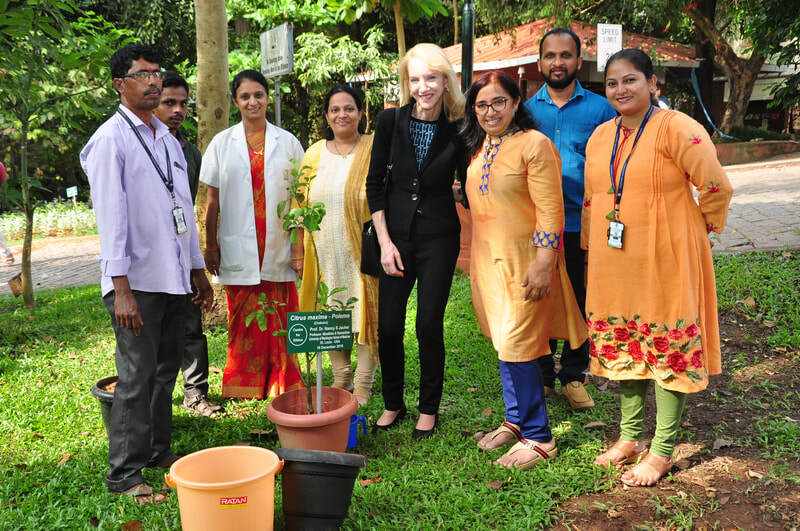 The students of the Ethics Club planted the sapling for UNAI with commitment to work towards sustainability. 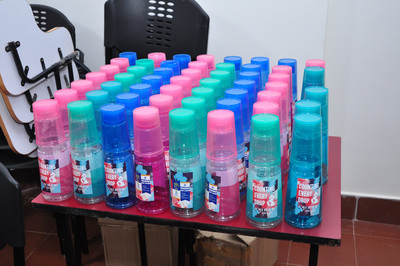 Speaking on the occasion, the Vice Chancellor said that everyone should understand the value of water. He pointed out the scarcity of water faced by our country. There will be a day when India will start buying the water from outside countries, he added. He gave a call that everyone should start thinking to save water and how we can contribute to the society by saving water. Dr. Madeline, Researcher from Johannes Gutenberg University, spoke on Ethics & Justice. She stressed on the need for global justice. 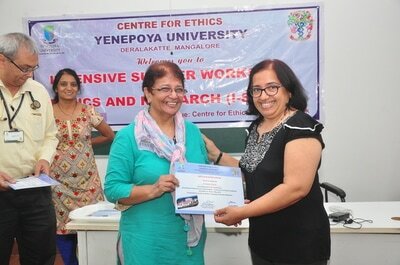 Dr. Vina Vaswani, Director, Centre for Ethics presented an overview on water war. She spoke on the conflicts going on between the interests of the industry and the villagers throughout the country. She pointed out the economic development which is going against the environment and the villagers. She briefed on how the water has seemed to become a commodity and when there is scarcity of water the value in the market increases which makes people’s life miserable. She also said in the spiritual perspectives, water has to be distributed equally and one cannot have any kind of claim on water. She noted that the right to life is the most basic thing in the society and without water one cannot live and hence allow natural law to govern the system. She suggested everyone to conserve water and use it sparingly because it is a legacy for us to pass it on to next generations. 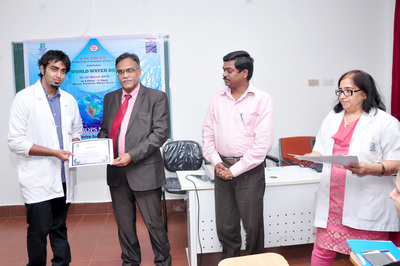 Mr. Syed Shaban, student, IV MBBS, gave a presentation on water ethics. 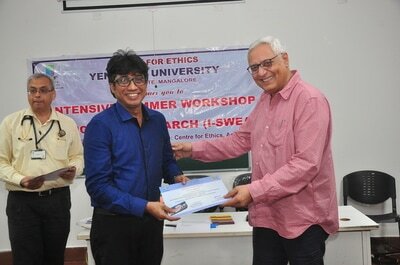 He talked about the ethical theories and ethical frame work governing water ethics. He stressed on Stewardship model for states to look after water in the interest of the people. 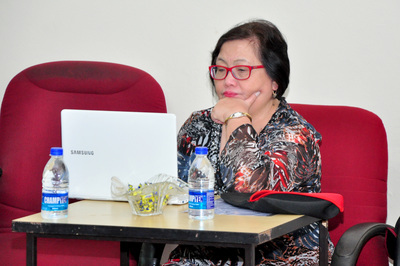 Dr. Leena Pramod, Curator, Dept. 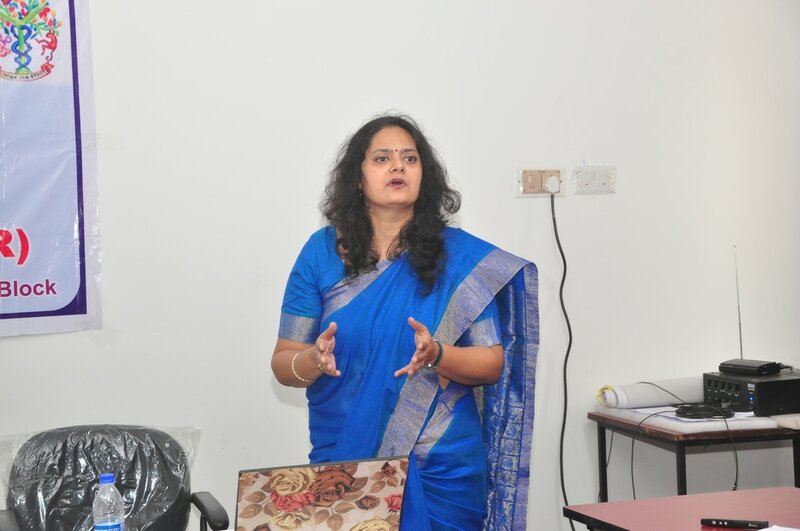 of Forensic Medicine & Toxicology, spoke on the relevance of world water day. 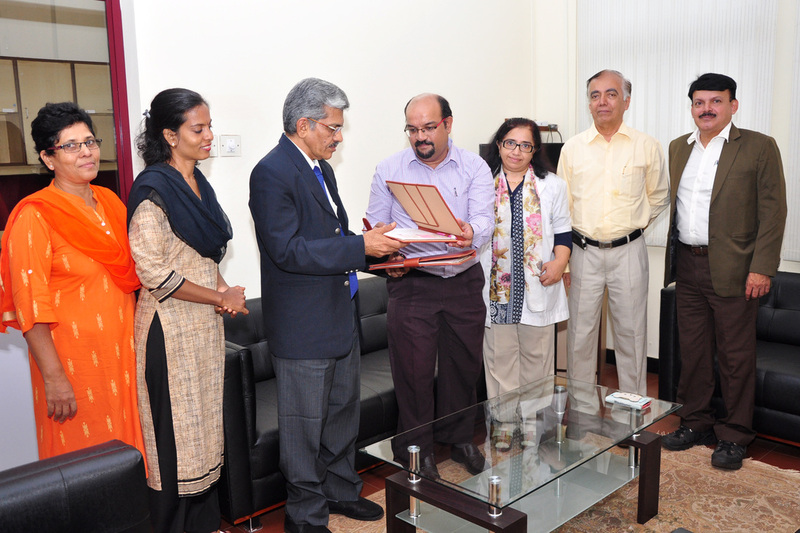 The certificate of UNAI was handed over to the Vice Chancellor, Dr. M. Vijaya Kumar by Dr. Vina Vaswani. 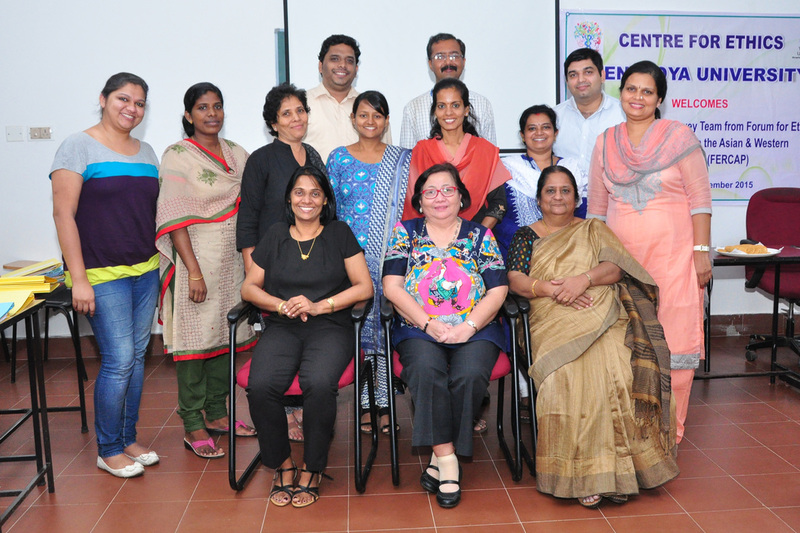 13 students completed internship program in Ethics and Professionalism at the Centre for Ethics from 18th to 25th January 2016. Certificates of Internship training were awarded to the students on this occasion. 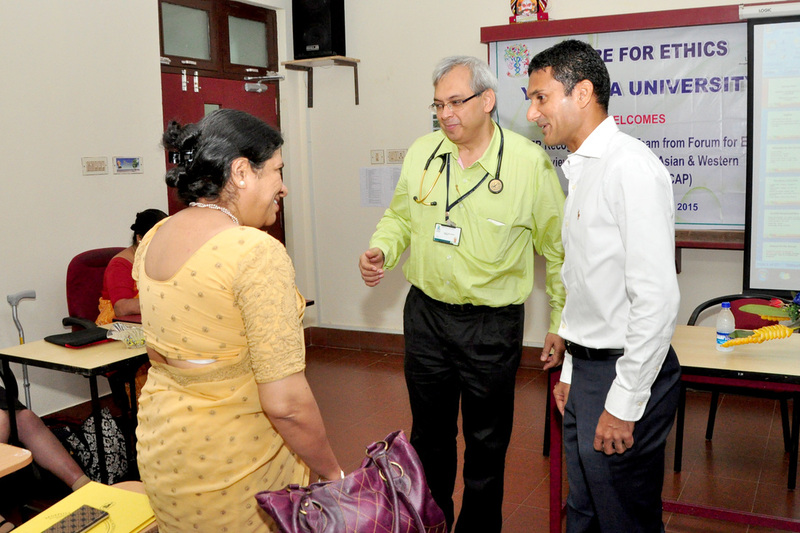 Dr. Padma Kumar, Principal, Physiotherapy College, Dr. Ravi Vaswani, Professor, dept. 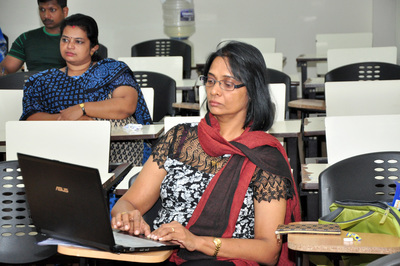 of General Medicine, Dr. Uma Kulkarni, Professor, dept. of Ophthalmology and members of Encircle were present on the occasion. The students took a pledge to conserve water and follow the green initiative. The sixth batch of Postgraduate Diploma in Bioethics & Medical Ethics and the third batch of Postgraduate Diploma in Clinical Ethics commenced on 29 January 2016. Sixteen students have enrolled for the PGDBEME and 11 for the PGDCE. Drs. 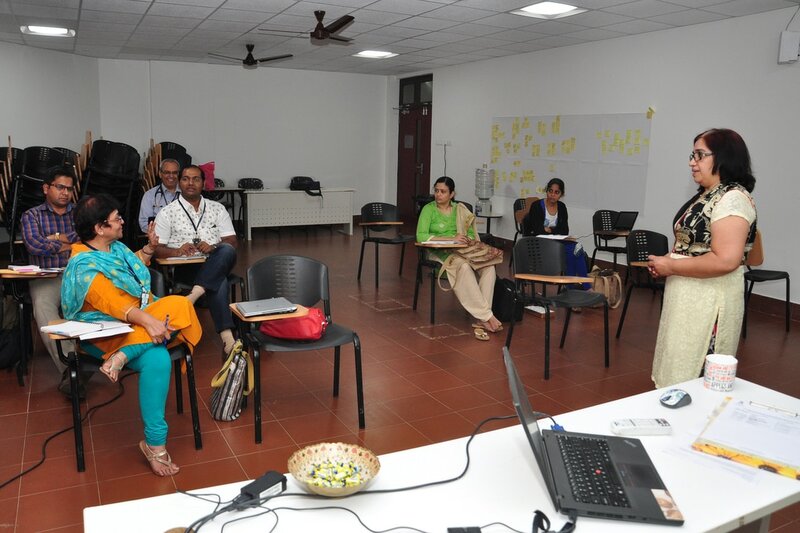 Vina Vaswani, Ravi Vaswani and Uma Kulkarni were the faculty that conducted the sessions on the first day. The fourth meeting of ENCIRCLE was held on 18th February 2016 at Forensic Medicine Demo Room1. 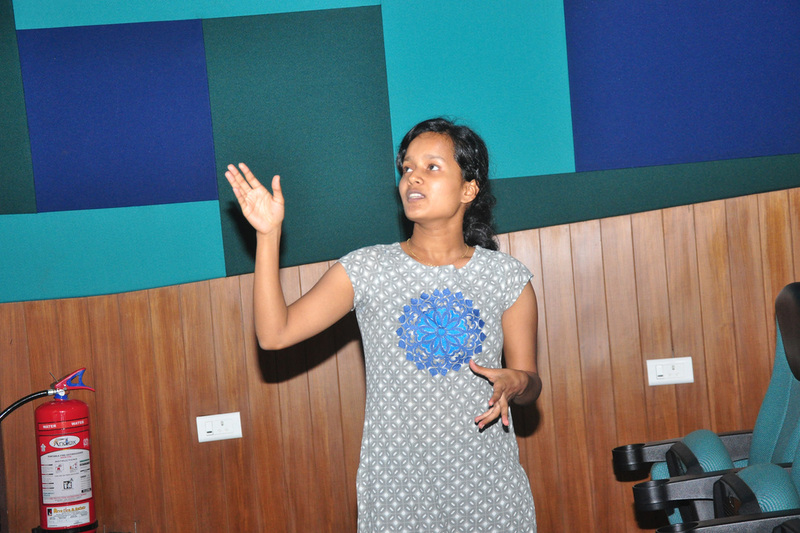 The topics for the day were Designer Babies – Ethical Issues and the speaker was Dr. Leena Pramod, Curator, Dept. of Forensic Medicine & Toxicology and “Ethical Issues arises during investigation and diagnosis of an epidemic” by Ms. Michelle Ashraf, 3rd year student from Yenepoya Dental College. Dr. Leena gave a broad explanation about what the designer baby is, how the human genome project and advancement in Genetic Engineering helped in developing this technology. She elaborated the process involved in making the designer baby (IVF & PGD) and how a designer baby can become a saviour baby for an older sibling suffering from a genetic disorder. Three real life cases were discussed where the designer babies were made to cure a child having a genetic disorder, for selection of trait (deafness), for gender selection and the ethical issues involved in this cases based on the 4 principles of ethics. This was followed by a round of discussion. Ms. Michelle Ashraf, presented on “Ethical Issues arises during investigation and diagnosis of an epidemic”. She highlighted on Zika virus which is just a classical example of an epidemic that has breached the global barriers. As the definition of an epidemic goes, the unusual occurrence, in a community or region, of a disease, specific health related behaviour, or other health related events, clearly in excess of expected occurrence. She also mentioned that the symptoms have been variably reported as mild to aggressive such as Microcephaly and Guillain-Barré syndrome. She pointed out that getting to the ethical considerations of this virus, quite a number of attributes must be highlighted, for instance, with the intention of randomized trials, the site and development of vaccines experimentally may be exploited in low socio-economic areas like in Central Africa, which can drastically dive towards the extremes of issues such as without consent. She noted that the ethical issue that goes overlooked is that portrayed by mass media. On one hand it benefits society by creating large scale awareness of the disease, but the depiction can manifest as an association of such disease to that particular place. 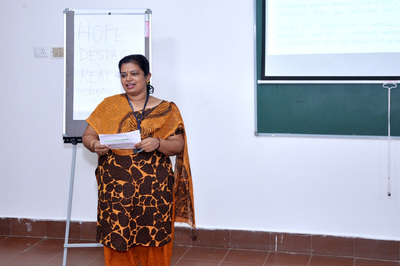 Ms. Sachitha Nandagopal, Faculty, Centre for Ethics rendered the words of wisdom by Mahatma Gandhi. Dr. Uma Kulkarni, Professor, Dept. of Ophthalmology compeered the meeting. 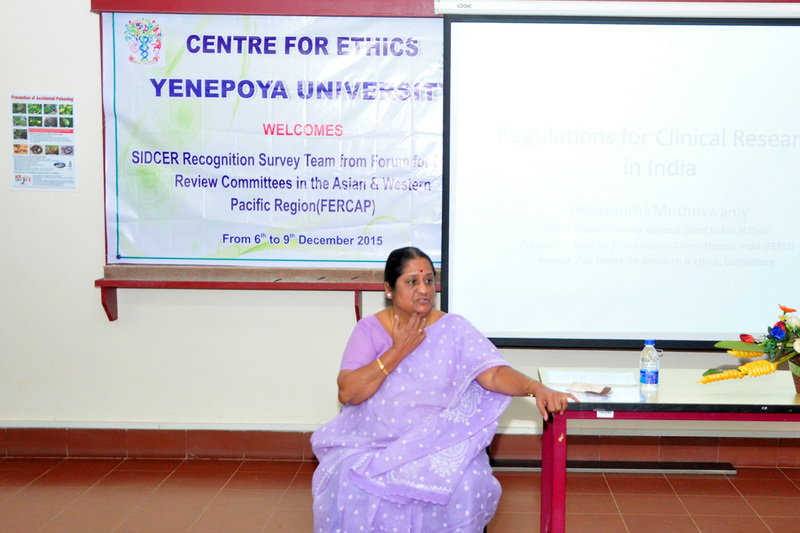 Dr. Vina Vaswani, Director, Centre for Ethics interacted with the members. 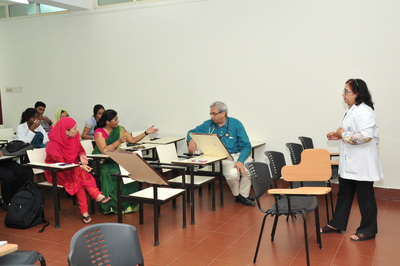 Dr. Ravi Vaswani, Professor, Dept. of Medicine proposed the vote of thanks. About 28 club members and guests were present. 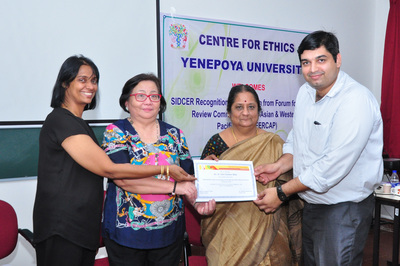 The Yenepoya University Ethics Committee underwent a survey by Forum for the Ethical Review Committees in the Asian and the Western Pacific Region (FERCAP) for SIDCER (The Strategic Initiative for Developing Capacity in Ethical Review) recognition recently. 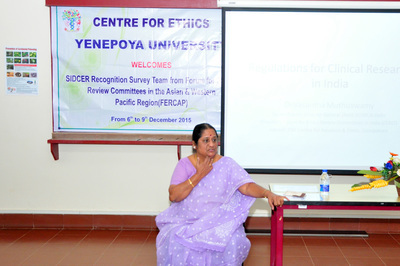 YUEC is a 200th committee in Asia and tenth in India to undergo this survey. SIDCER is a leading global network that fosters an integrated and sustainable ethical review system towards quality culture in health research and it provides the international community with not only a means to build in-country human participant protection programs, but also a way to measure and provide accountability regarding the quality and effectiveness of ethical review worldwide. The objectives of this survey are to conduct an independent evaluation of the IRB (Institutional Review Board), to provide feedback on its practices and overall performance and also to observe compliance to international, national and local standards. and the trainees from Yenepoya University and from outside institutions. Dr. Cristina in her inaugural address said the purpose of surveying and evaluating research is to encourage the ethics committee so that there will be a better human participants in research. She stressed upon the regulations required for global clinical trails to test safety and efficacy. She mentioned about the need to harmonise ethics review in the scientific community. 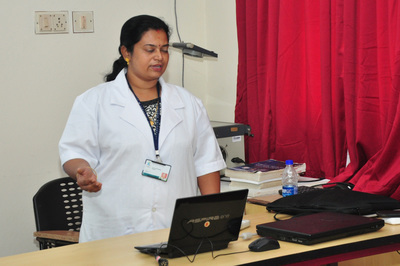 Dr. Vasantha Muthuswamy briefed about the roles and functions of FERCAP. She pointed out on how important for an ethics committee members to get trained in ethics. She said the whole idea of this process is not to point out negatives but to focus on how to improve the quality and standard of ethics committee to review ethical aspects in every research. She also mentioned about the importance to institutionalize an external quality assurance system and institute a check and balance system. During the exit report presentation both the surveyors appreciated and thanked the Yenepoya University Ethics Committee (YUEC) for taking initiative to invite the survey team and keeping ready every aspect of requirements of survey process and made few recommendations as appropriate to ensure best standards of quality and transparency in ethical review for the IRB. 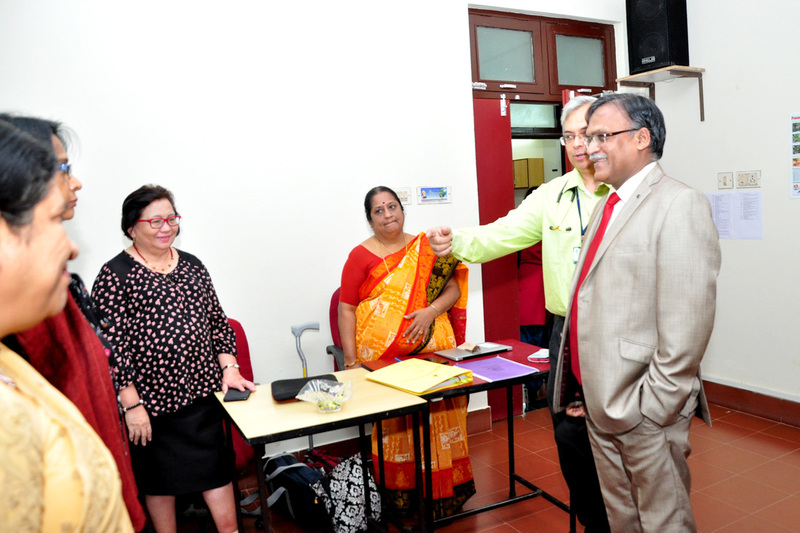 Dr. M. Vijay Kumar, Vice-Chancellor, Dr. Raghuveer, Registrar, Mr. Farhad Yenepoya, Director, Finance, Ms. Sayigeetha, Chairperson, YUEC, Dr. Vina Vaswani, Member Secretary, YUEC and the members of YUEC were present on the occasion. The Centre for Ethics, Yenepoya University condoles the sudden and untimely demise of Padmashree Prof. Ranjit Roy Chaudhury on 27 October 2015. Professor Ranjit Roy Chaudhury was a leading medical researcher, a specialist in medical teaching and a health planner for the country. Losing him is a big loss to the clinical research and the healthcare industry in India. ​May his soul rest in Peace.